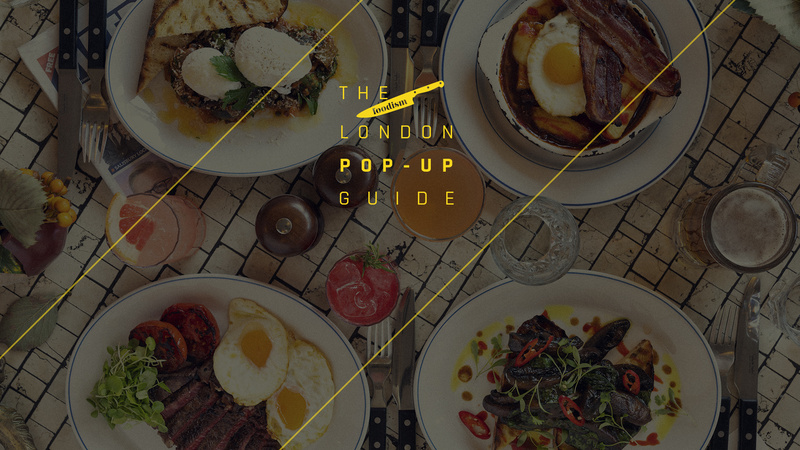 We know, we know, there are enough pop-ups, one-off dinners and and food and drink-related events going on in London at any one time to blow your mind, not to mention seriously clog up your calendar. So how do you know which ones are really worth going to? That's where we come in: we've cherry-picked our very favourite – and ergo the very best – food goings-on to make it that tiny bit easier. 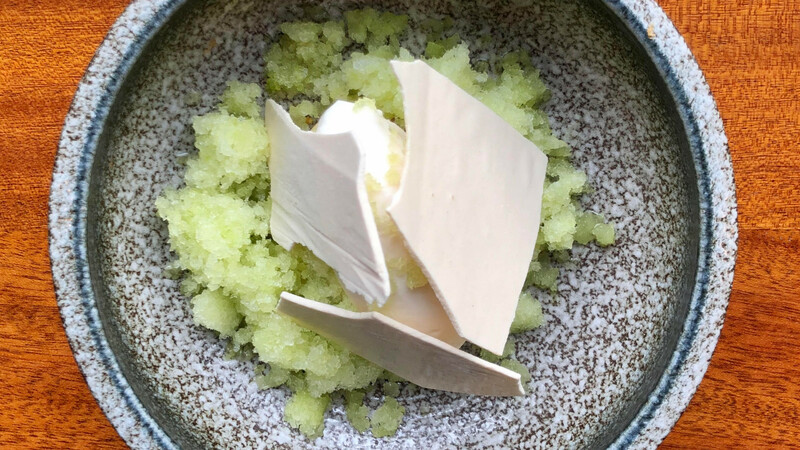 Sit back, relax and peruse our guide below, safe in the knowledge that people with truly impeccable taste have deemed that brand-spanking-new pop-up absolutely worth the two-hour wait. You are very welcome indeed. Dinner and a movie just got an upgrade. But there's a catch: popcorn is off the menu. Instead, at Bombay Talkies – a series of film nights hosted at Indian restaurant Bombay Bustle – expect to tuck into poppadoms, banana chips and canapés washed down with a glass of Laurent Perrier champagne before settling down for a film and three course meal created by executive chef Surender Mohan. The pop-up cinema runs until April and is inspired by the original Bombay Talkies, the movie studio which revolutionised cinema in Mumbai in the 1930s. Experience all this and more for just £52pp every Monday. James Donnelly's residency at Bermondsey Bar & Kitchen has been extended until the end of the year. 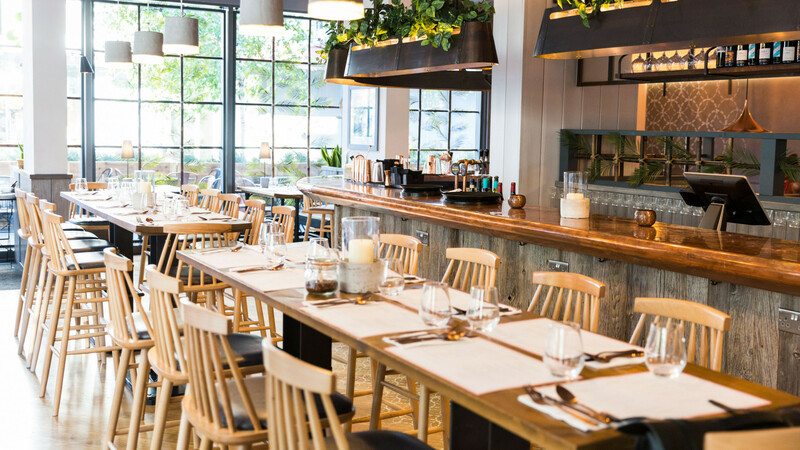 No stranger to the occasional residency, chef James Donnelly has followed his successes at The Sun and 13 Cantons and Louie Louie with this residency at Bermondsey Bar & Kitchen. 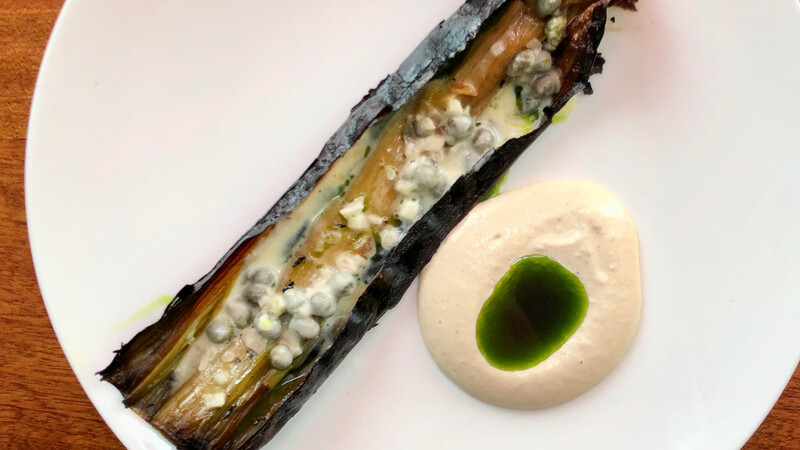 Cooking up modern takes on classic British fare with a commitment to championing the nation's independent food producers, Donnelly has extended his residency until the end of the year. Which is great news for you and me when delicacies like Gloucestershire pork belly and roasted plaice have a, well, place on the menu. 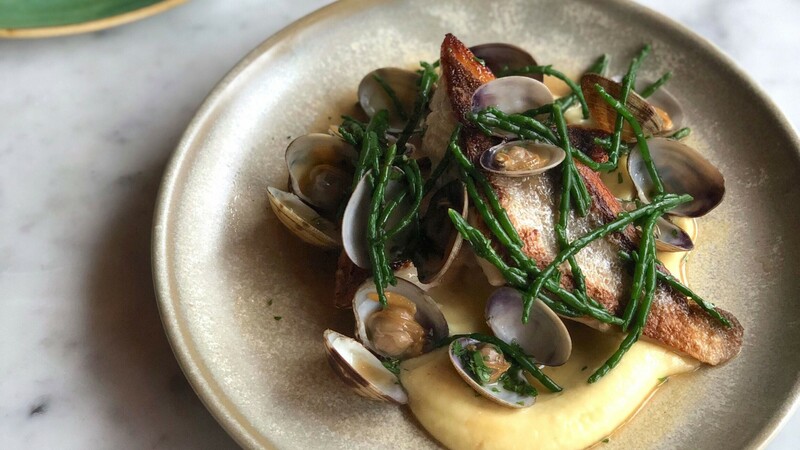 Donnelly's fish is additionally sourced through Henderson Seafood – a family-run operation that nets seasonal fish from the Devon coast – and his meat and vegetables from a host of local farms. It's root-to-leaf and nose-to-tail done right. 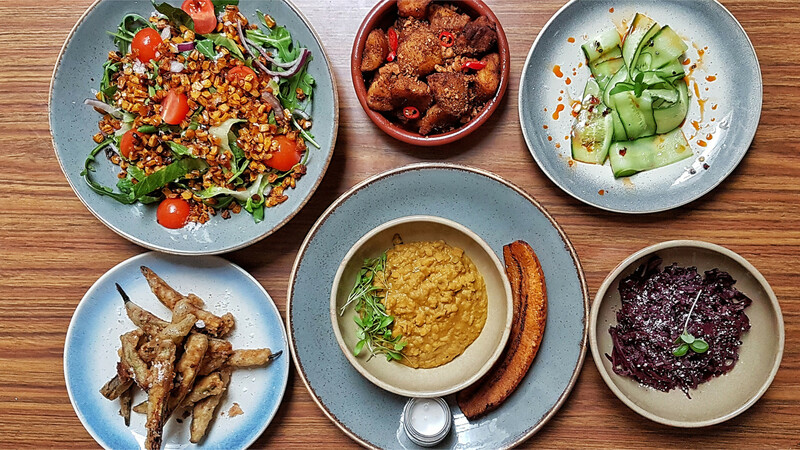 West Londoners have a reason to celebrate (and eat) this month as KERB favourites Rice Guys are bringing their talents and grains to the Kapé & Pan coffee shop for a lunchtime pop-up guaranteed to start your week off right. Available on Mondays and Tuesday from noon till 2pm, you'll be able to try some of Rice Guys' specialty rice bowls topped with Hainanese chicken or smoky barbecue pork. Vegans are also well-catered for, too, with a funghi mapo tofu version delivering just as much punch as its meaty counterparts. A definite upgrade from last night's leftovers, if you ask us. What's your margarita game like? Average to middling, we'd assume. Well, mate, it's time you sorted that out. 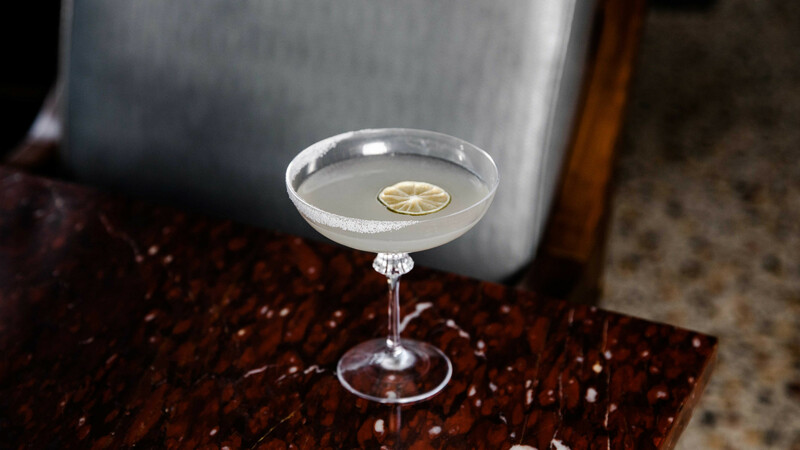 From now until the end of April, Ella Canta will open its doors to the public to discover the secrets behind making the perfect tequila cocktail for the beginning of its series of nifty margarita masterclasses. Taught by the bar's resident alcohol experts, you can expect to leave the bar well-versed in all things margarita. Don't worry if you're a bit of a lightweight, either. 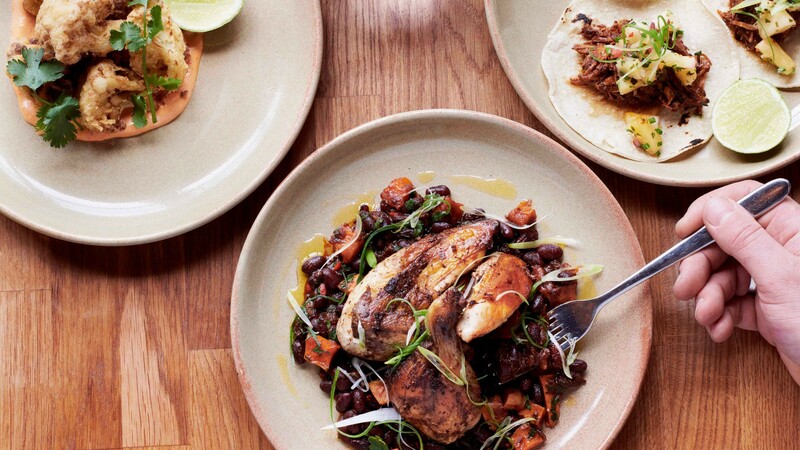 There'll be plenty of food to soak up the damage from the mezcal tasting. Guacamole, quesadillas, and tostadas round out a spread of top-notch Mexican dishes. Tickets cost £69. If you're familiar with Alex Head, her café and catering company Social Pantry, or her restaurant Soane's Kitchen, you'll know she's incredibly dedicated to helping former prisoners find their way into work through charities including Key4Life and Switchback, mentoring them and employing them across her venues. 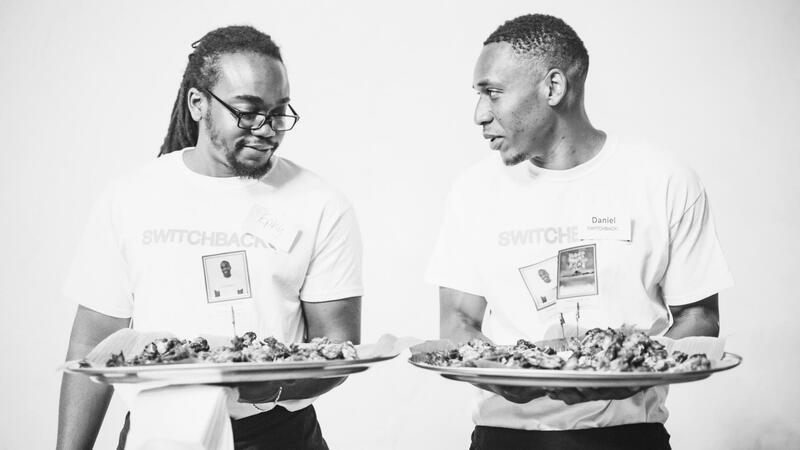 May's Switchback Supper, in association with the latter, will be a feast created, prepped and served by young men from Switchback's incredible programme, giving them a big hit of hands-on experience. 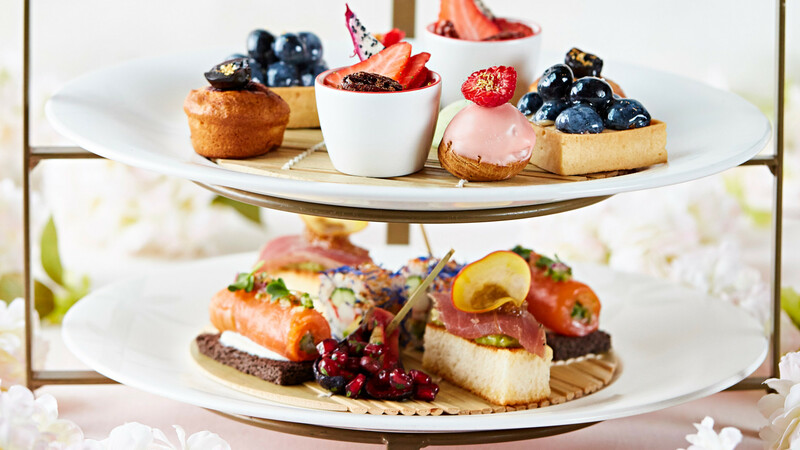 The menu includes canapés, a welcome drink and three courses. 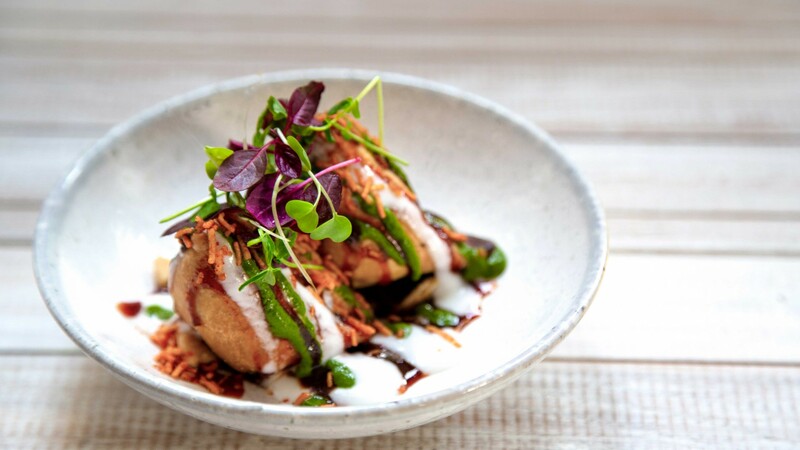 From 20th March, Putney riverside restaurant Bistro Vadouvan will be teaming up with Michelin-starred chef Éric Chavot for the launch of a new ‘Paris Meets Pondicherry’ series. 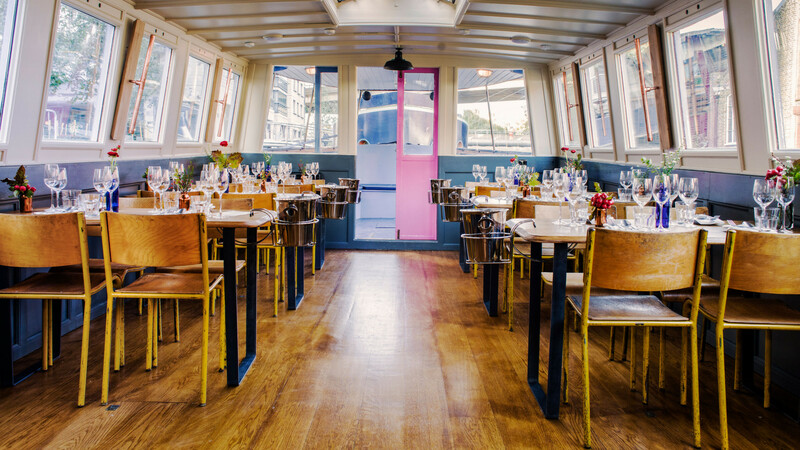 From 20 March, Putney riverside restaurant Bistro Vadouvan will be teaming up with Michelin-starred chef Éric Chavot for the launch of a new 'Paris Meets Pondicherry' series. Having learned his trade under the tutelage of chef Chavot, Bistro Vadouvan's head chef Durga Misra will be joined in the kitchen by his former mentor to launch a menu inspired by the cities that best encapsulate his own cooking style. Guests will have a choice of two dishes for each course. 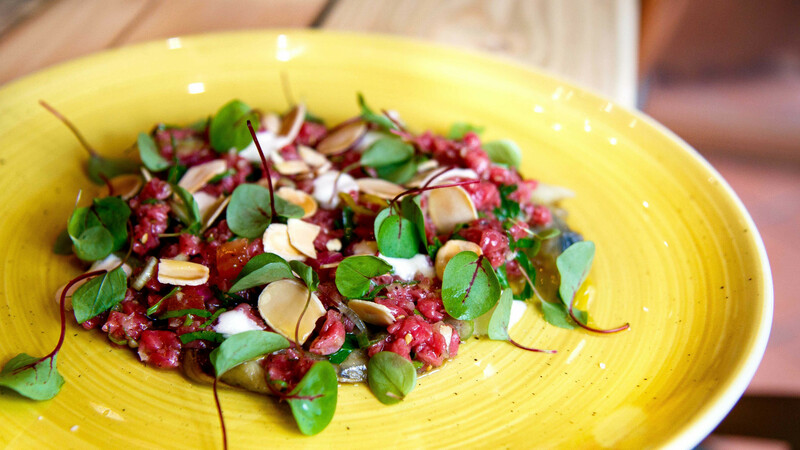 Which means you can expect to make heart-wrenching choices between delicacies like beetroot croquette or beef tartare. The menu, which costs £35 and includes an arrival cocktail, will be available Tuesday-Sunday from 5.30pm for two months. Book yourself a spot via bistrovadouvan.co.uk. 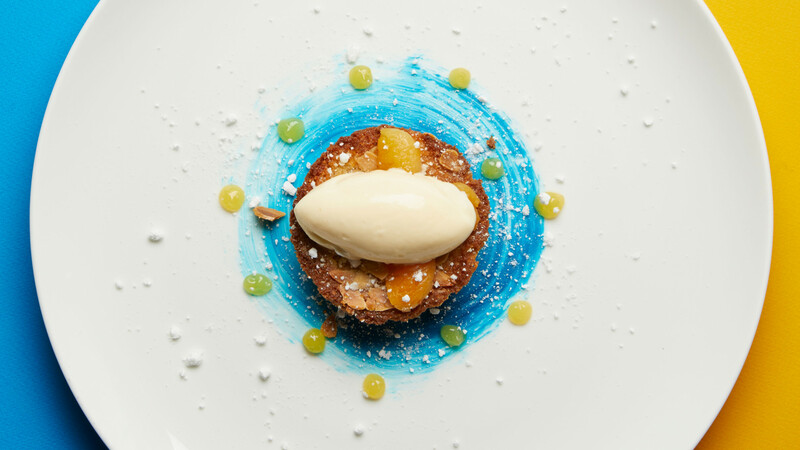 Inspired by Van Gogh’s vivid colour schemes and the Dutch flavours he favoured, Rex Whistler restaurant has developed an artsy tasting menu and three-course lunch menu. 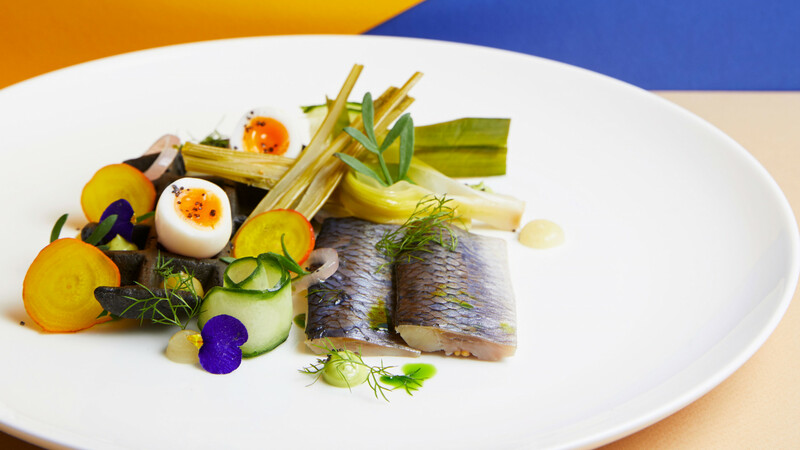 Inspired by Van Gogh's vivid colour schemes and the Dutch flavours he favoured, Rex Whistler restaurant head chef Alfio Laudani has developed an artsy tasting menu and reduced three-course lunch menu to celebrate the Tate Britain's latest Vinnie Van Gogh collection. 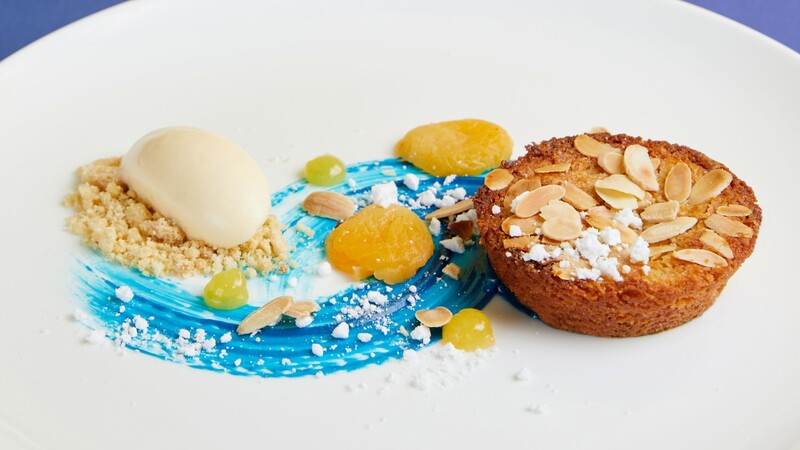 Expect literally tasteful homages to the painter like a Gevulde Koek dessert (a popular Dutch almond tart) that sits on a stroke of turquoise absinthe paint designed to reflect the brush stroke technique and colours in Starry Night on the Rhône. 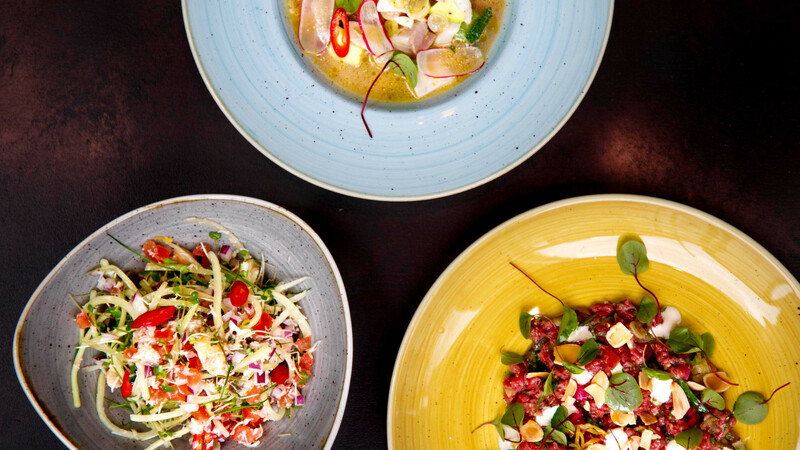 It's the sort of food that's nearly too pretty to eat. The tasting menu costs £55 and pre-booking is required. Zoe Adjonyoh is bringing her popular Ghana Kitchen back to The King & Co for a two-month residency. Renowned chef Zoe Adjonyoh is bringing her popular Ghana Kitchen back to The King & Co for a highly-anticipated two-month residency. 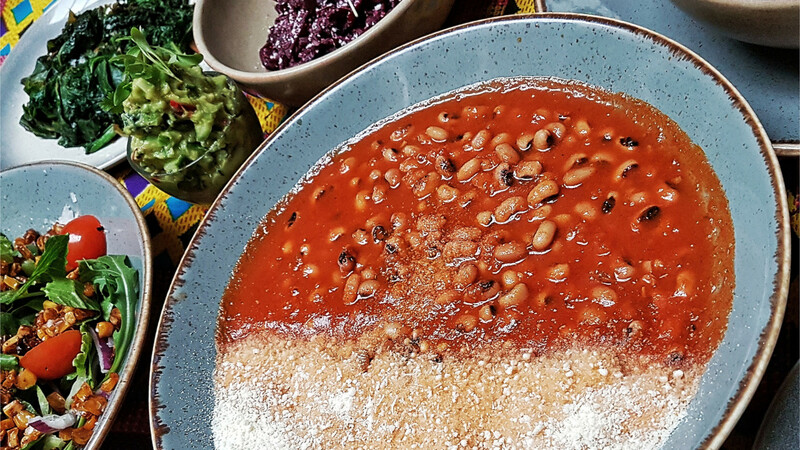 The menu will showcase traditional Ghanaian ingredients using modern methods and feature a mix of Ghana Kitchen classics like okra fries, JFC (Jollof Fried Chicken) and red red vegan bean stew, alongside exciting new dishes. 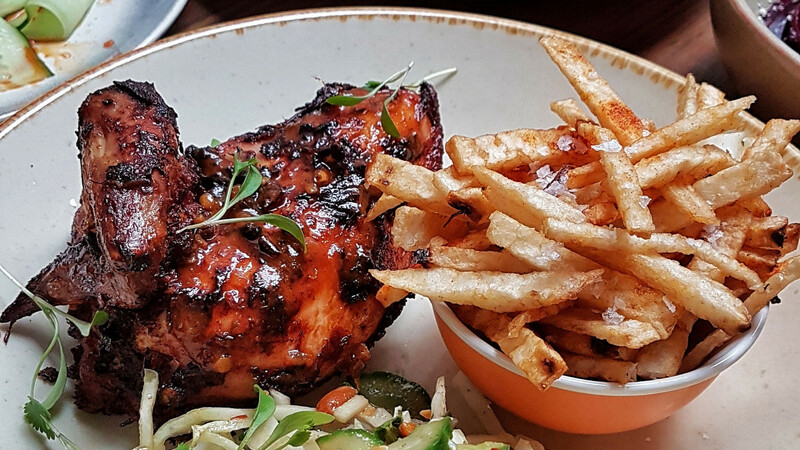 Zoe's groundnut stew also returns with languidly slow-cooked lamb shank, with diners having the option to feast on pork belly brined with Supermalt and plantain and an array of other hearty dishes. From 1-28 April, Sakagura will be inviting guests to dine amongst the cherry blossoms in honour of the traditional Japanese custom of Hanami. 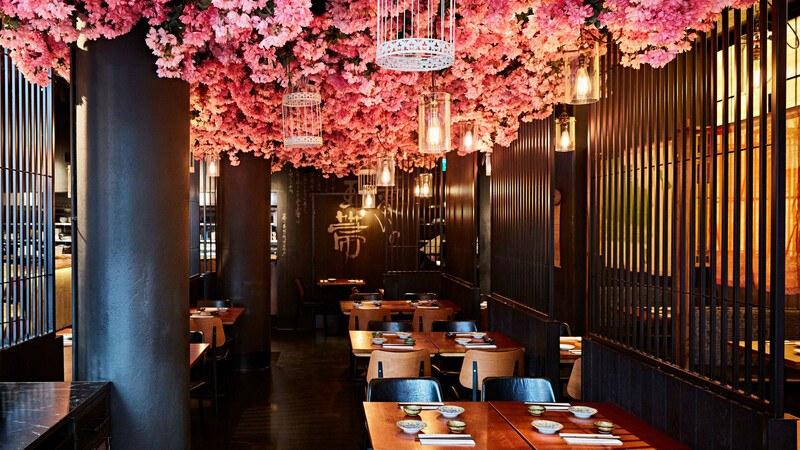 From 1-28 April, Sakagura will be inviting guests to dine amongst the cherry blossoms in honour of the traditional Japanese custom of Hanami. Sakagura have created a bespoke list of limited-edition cocktails in partnership with Gekkeikan (the brewery of choice for the Japanese Imperial Family and The House of Suntory) that showcase Roku craft gin and Toki whisky. 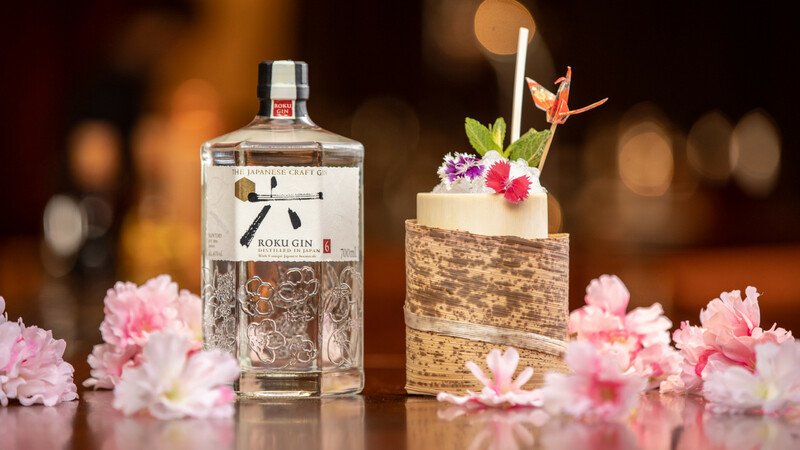 Each priced at £15, cocktails like the Wild Blossom – Toki whisky blended with caramel syrup and a refreshing top up of handmade berry’s soda make for a lovely way to ring in the spring. 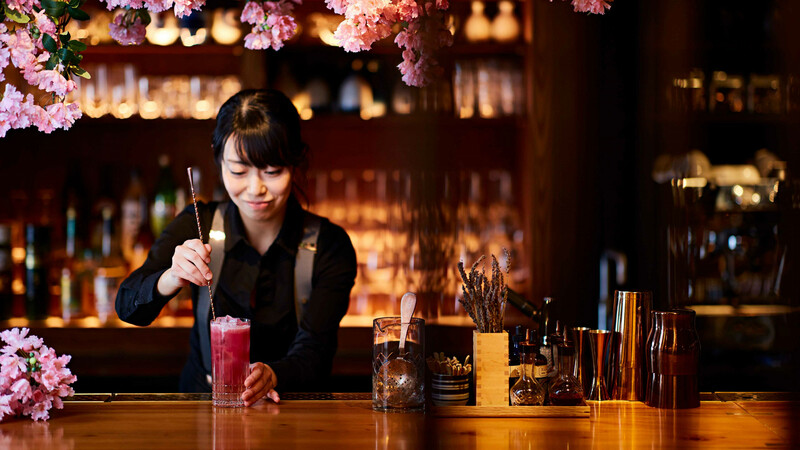 Exclusive to Sakagura, Gekkeikan will also be showcasing its very first non-alcoholic sake in the form of the Innocent Cherry mocktail. Priced at £6, mixed with calpico, pomegranate, and elderflower cordial and the subtle touch of vanilla, you’ll be able to get a proper sake experience without any of the alcohol. 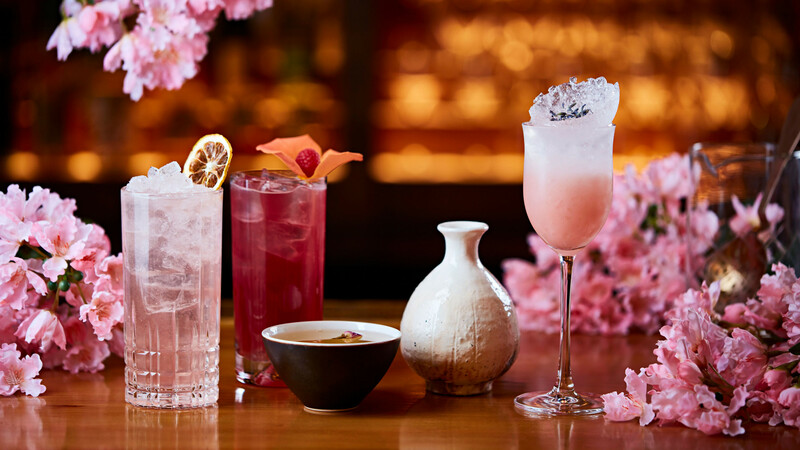 Nobu Hotel London Shoreditch and The House of Suntory are launching 'Hanami'. 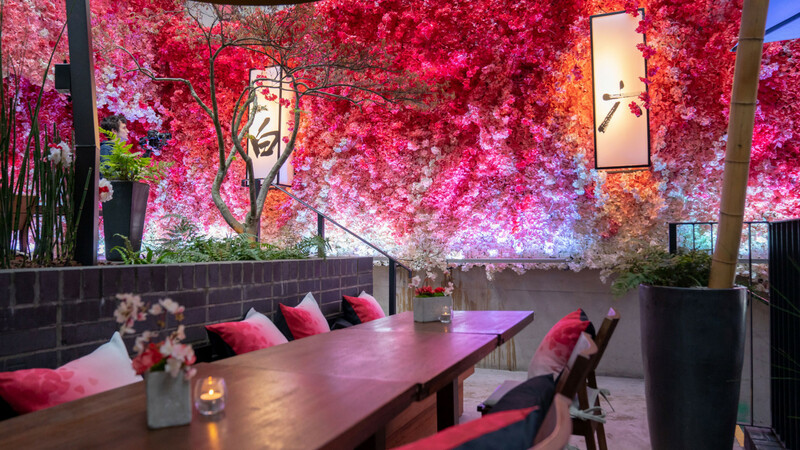 Nobu Hotel London Shoreditch and The House of Suntory are launching 'Hanami' – what promises to be a delicious outdoor celebration of Japanese craftsmanship and the Sakura bloom. 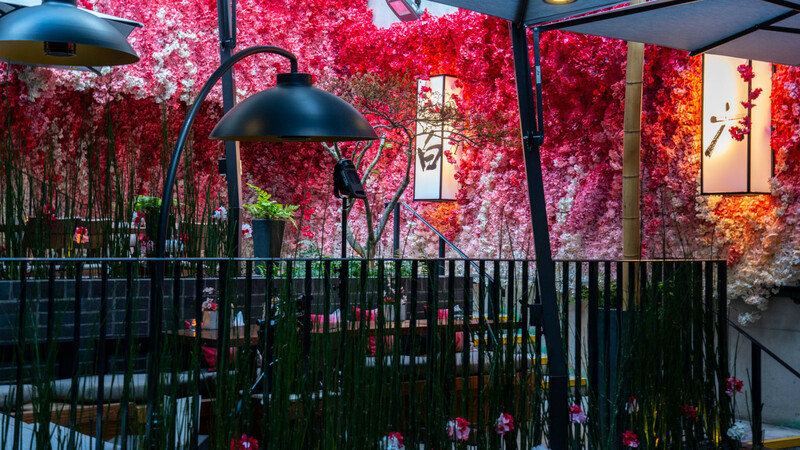 Available from 5 April until 2 june, the terrace at Nobu Hotel London Shoreditch will be transformed into a cherry blossom-covered paradise. It'll not only look great, but taste good, too. 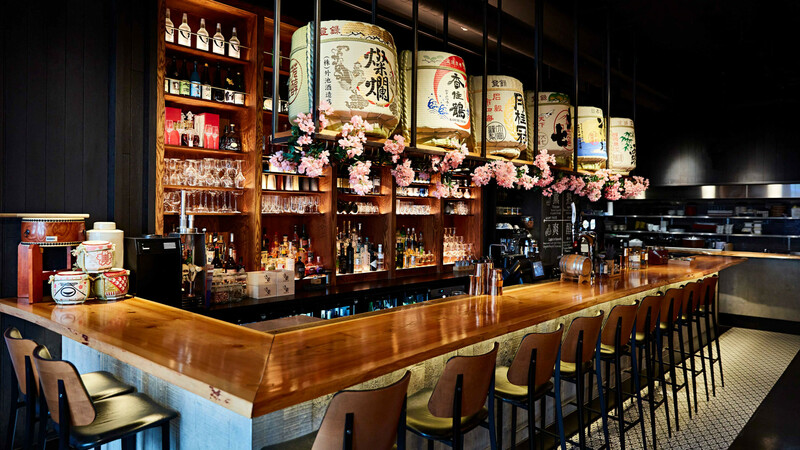 The menu at Hanami will offer a selection of distinctive new dishes inspired by the local area alongside the more traditional Nobu-Style bar snacks and world class sushi. Which means Shoreditch-style fish and chips and Toro Avocado on a tofu bun with Matsuhisa dressing are both on the menu. 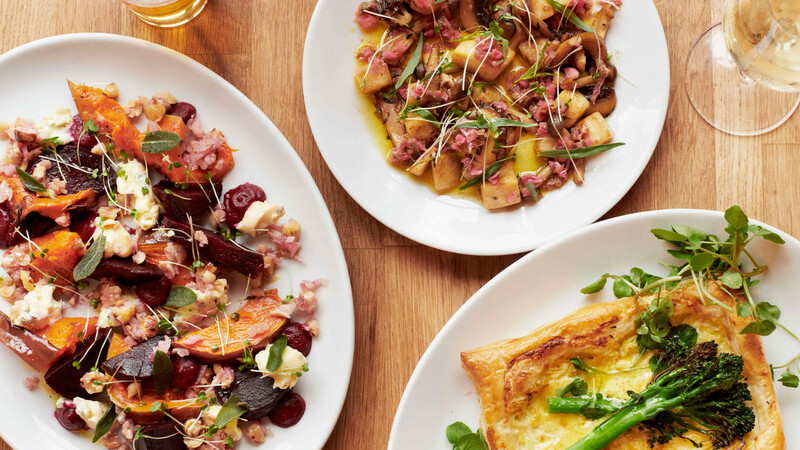 Fabien Spagnolo and Max Truel, will be taking over the kitchen for two weeks only at Crispin, the all-day cafe and wine bar in Spitalfields. 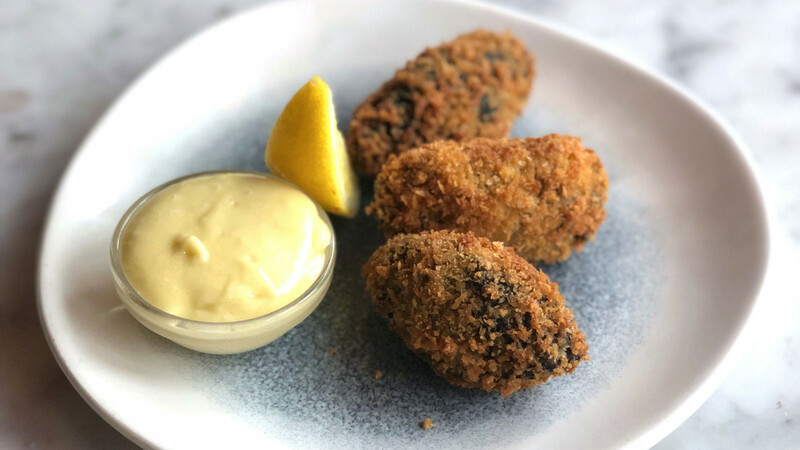 The chefs behind roving pop-up Kitchen F.M., Fabien Spagnolo and Max Truel, will be taking over the kitchen for two weeks only at Crispin, the all-day cafe and wine bar in Spitalfields. 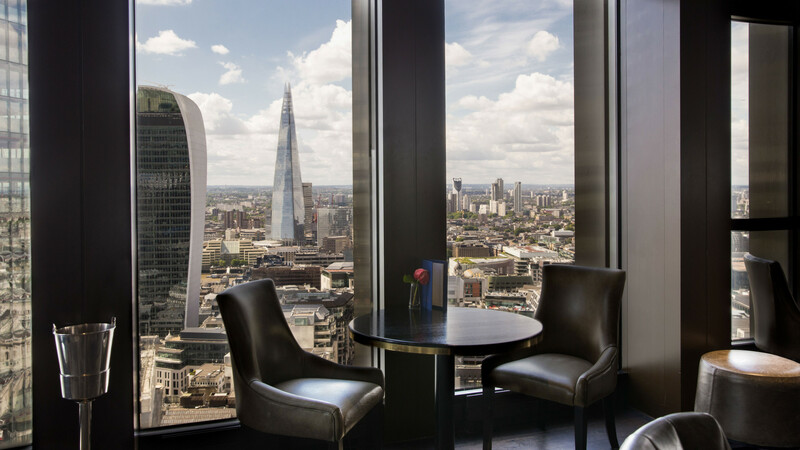 Formerly of Pollen Street Social, the chefs' spring takeover menu will be inspired by Kitchen F.M. 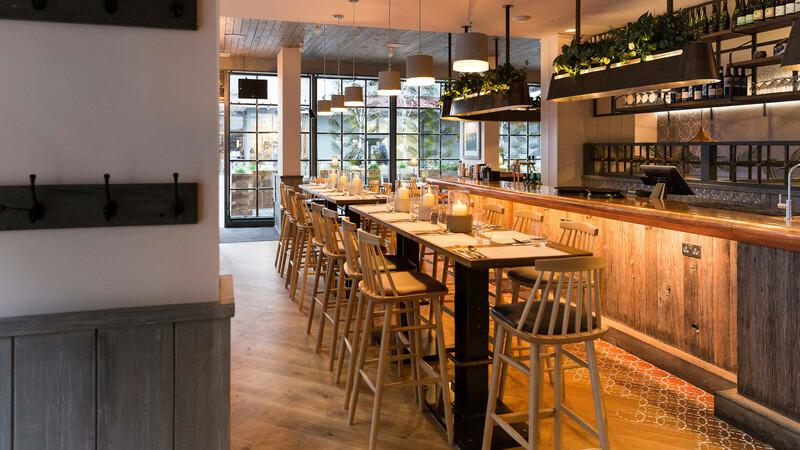 's French roots with influences from the Mediterranean and London. 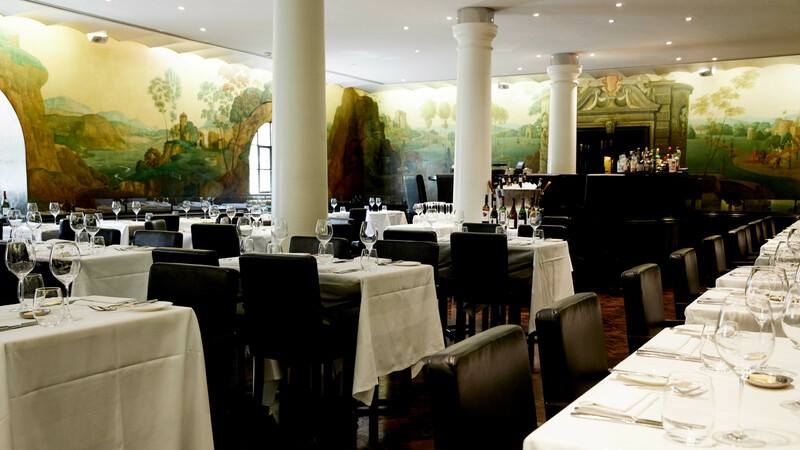 Guests can expect simple dishes given a modern twist, including focaccia, with crab and café de Paris and beef tartare with horseradish and seaweed. 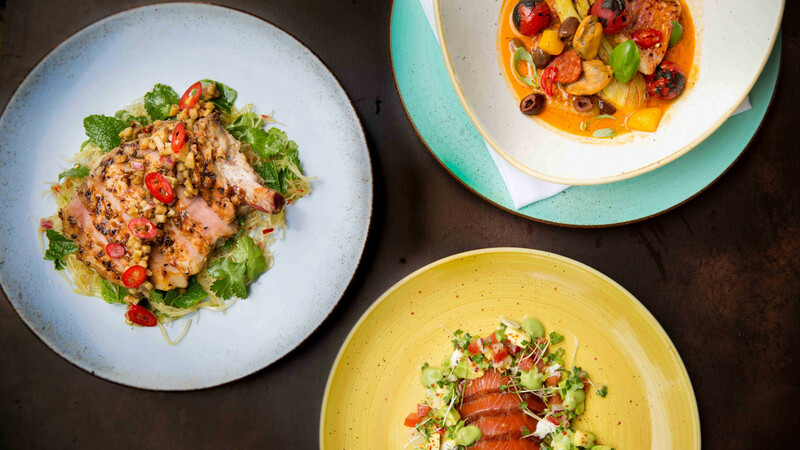 The dishes will start from £6 and there'll even be the option to order Crispin's signature 'one of everything' menu trawl for £27 per person. 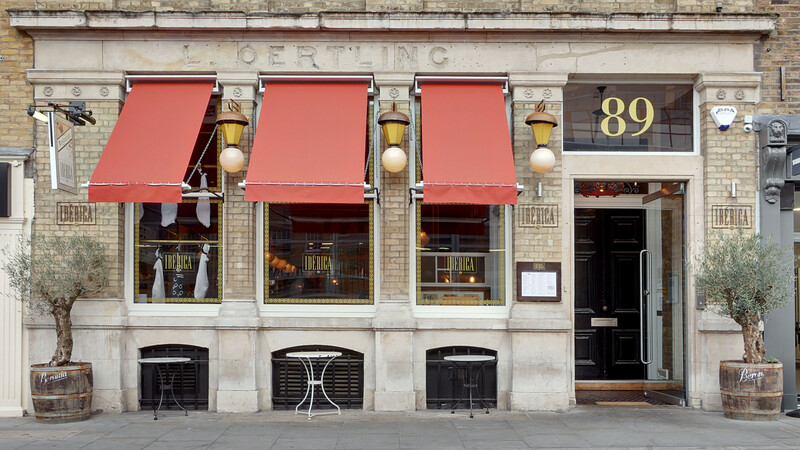 Eat & Drink Madrid will take place on Wednesday 10 April at Ibérica Farringdon for a one-off special evening. 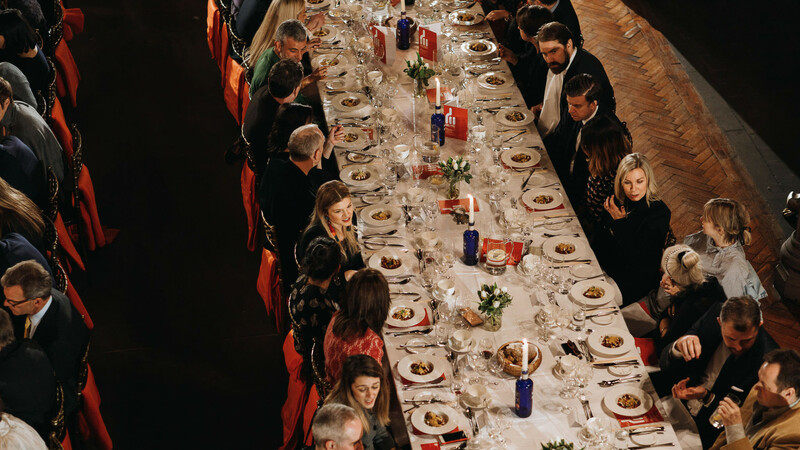 Eat & Drink Madrid will take place on Wednesday 10 April at Ibérica Farringdon for a one-off special evening with cerveceria Mahou, giving guests the opportunity to sample Madrid's most popular beer as well as some of the city's best-loved dishes. 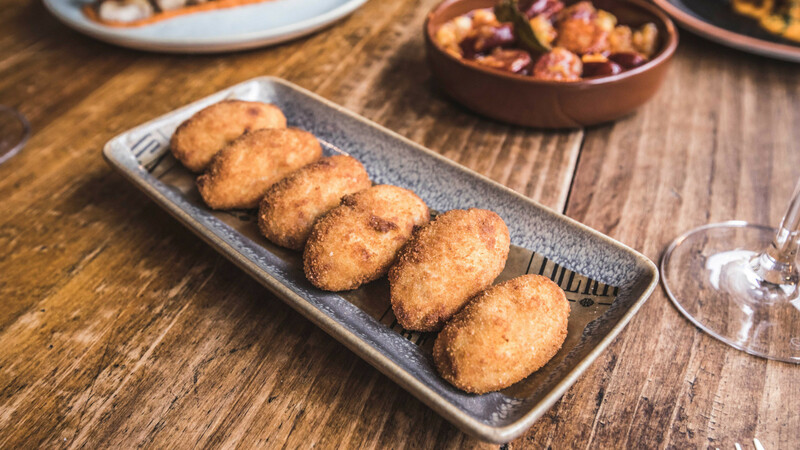 The evening will involve a tasting of six Mahou beers alongside a great selection of Madrid-style tapas such as bocadillo de calamares and huevos rotos con trufa y jamón Ibérico (fried potatoes topped with free-range broken eggs and grated truffle) to go along with each beverage. Probably the tastiest (and classiest) way to down a six pack in the city. 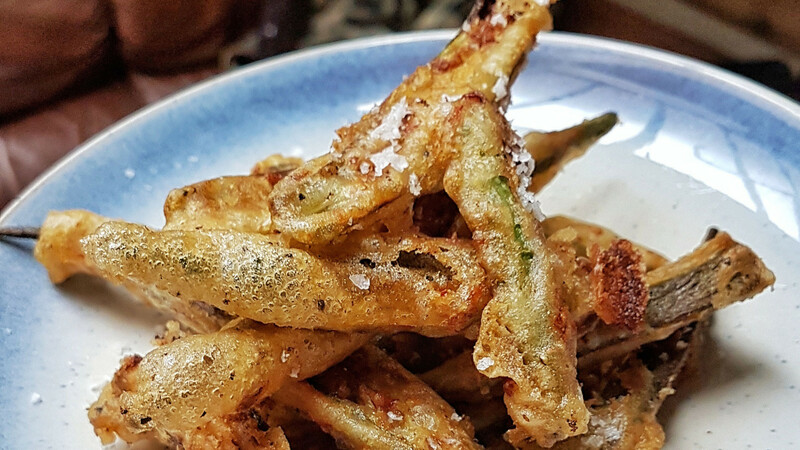 From 13-21 April, Burmese restaurant Lahpet will be bringing Burmese New Year (Thingyan) to Shoreditch with a menu of specials inspired by the Burmese celebration. 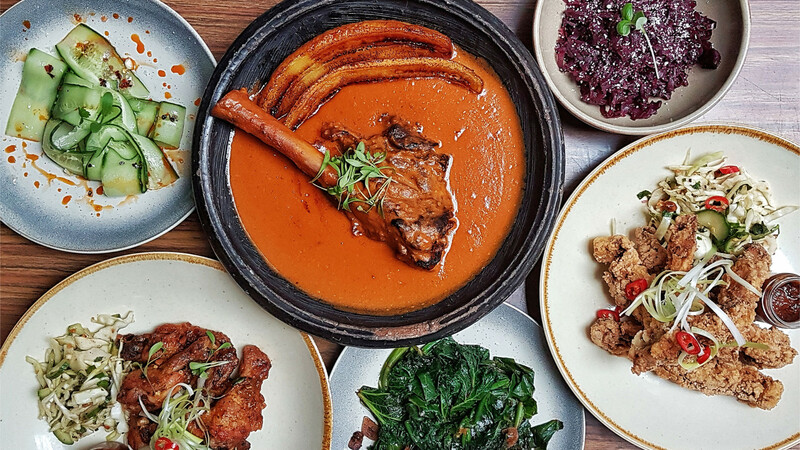 From 13-21 April, Burmese restaurant Lahpet will be bringing Burmese New Year (Thingyan) to Shoreditch with a menu of specials inspired by the Burmese celebration. Thingyan, also known as 'The Water Festival', is a moveable Buddhist celebration which usually occurs in mid-April. 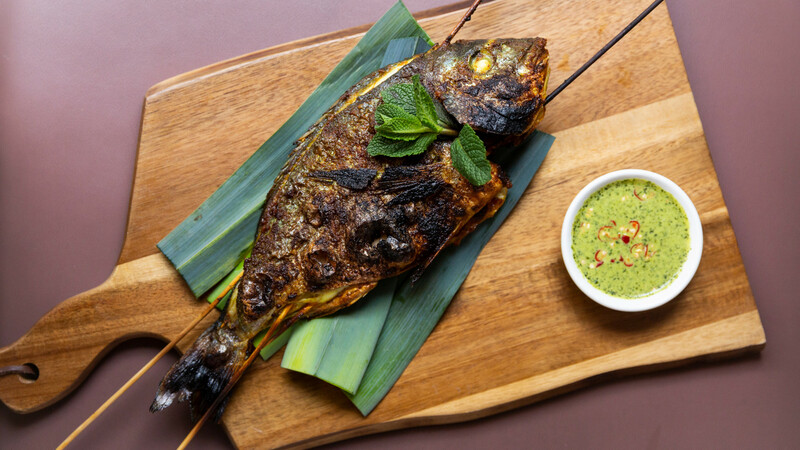 Grilled fish and meat dishes are traditionally consumed in Myanmar during the festival, along with sweet jaggery dumplings cooked in banana leaves as a sweet treat. Burmese-born head chef Zaw Mahesh has created a menu of specials inspired by the dishes traditionally eaten during the festival. The special menu will underline Lahpet's unique and contemporary take on authentic Burmese staples and regional specialities. Menu items include fried Jyo Du (tofu stuffed with spring vegetables and shrimp floss dressed in tamarind) and grilled skewers of Ngar Kin (a whole bream) and A Thar Kin (chicken and pork skewer served with coriander and mint sauce). Coconutty desserts and cocktails are also available. There's nothing fishy about how tasty this sounds. 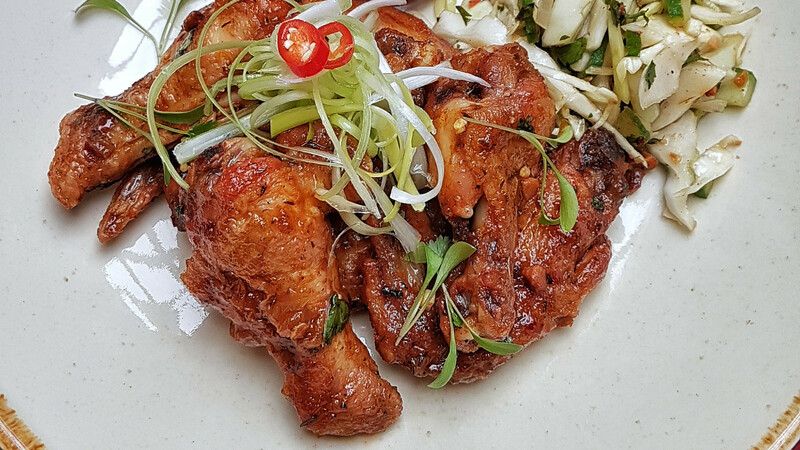 Fried chicken guru Carl Clarke is leading CHIK'N’s One Night Only pop-up at The Sun & 13 Cantons. 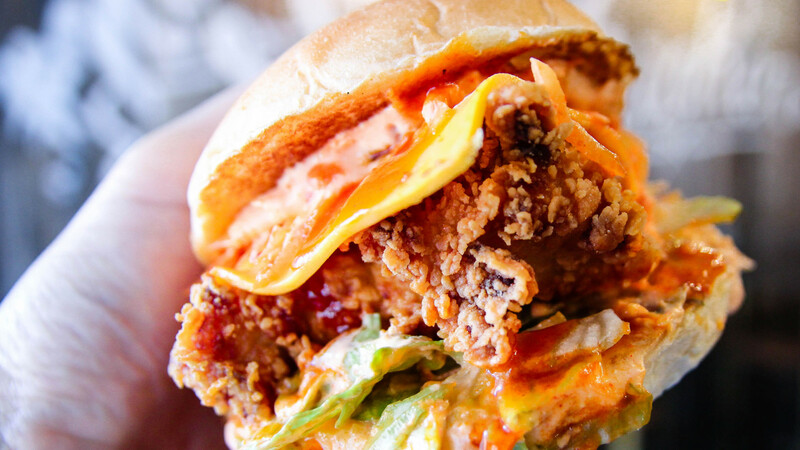 Fried chicken guru Carl Clarke is leading CHIK'N's One Night Only pop-up at The Sun & 13 Cantons one month ahead of opening his second site just down the road in Wardour Street. 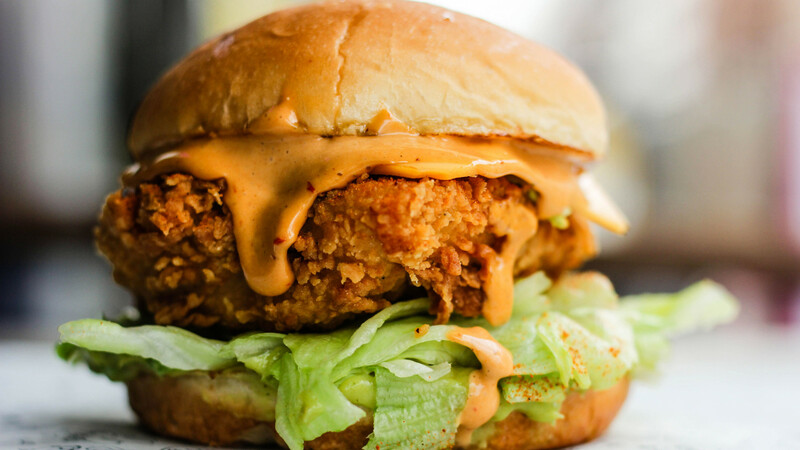 Expect a sneak preview of menu items like the 'CHIK'N CHOP', 'Straight Up', and 'BBQ Delux' – all cooked in brand new state-of-the-art pressure fryers imported from the USA. 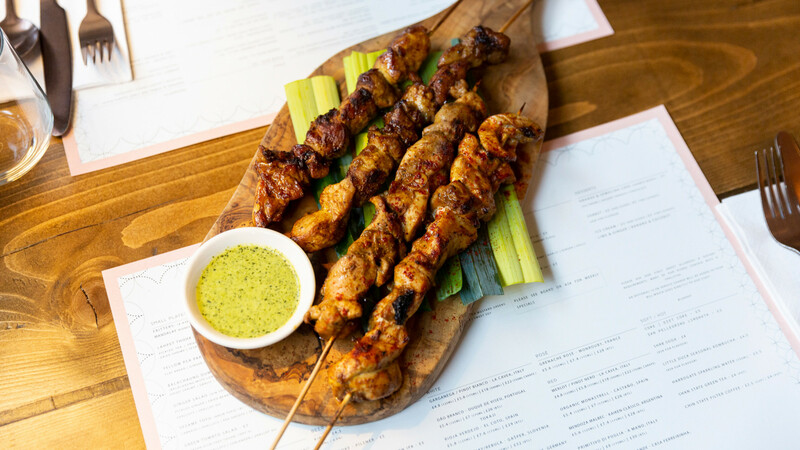 Carl and his team will be serving up trays of CHIK'N chops, hot wings and green slaw on the night – all you have to do is choose a sandwich to come along for the fried ride for just a fiver per person. Not only will you be well fed, but all profits from the event will be going to the Centrepoint charity to help young homeless people find a home. 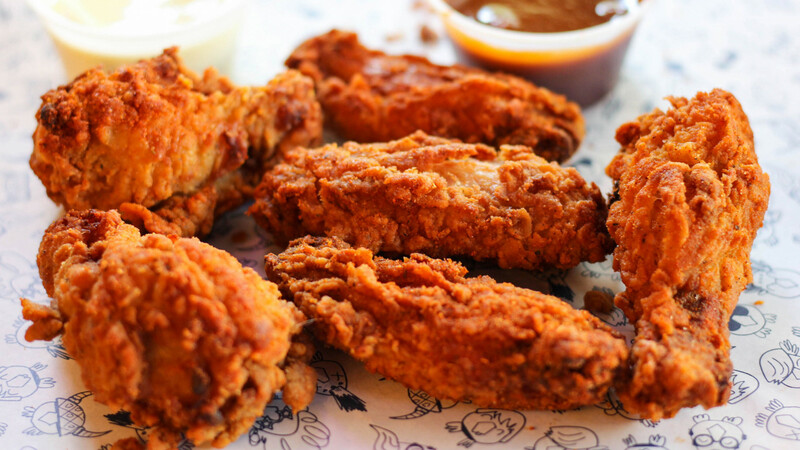 All the grub will be delivered on a first come, first serve basis, so make sure you get down early to avoid missing out on some freakin' good fried chicken. 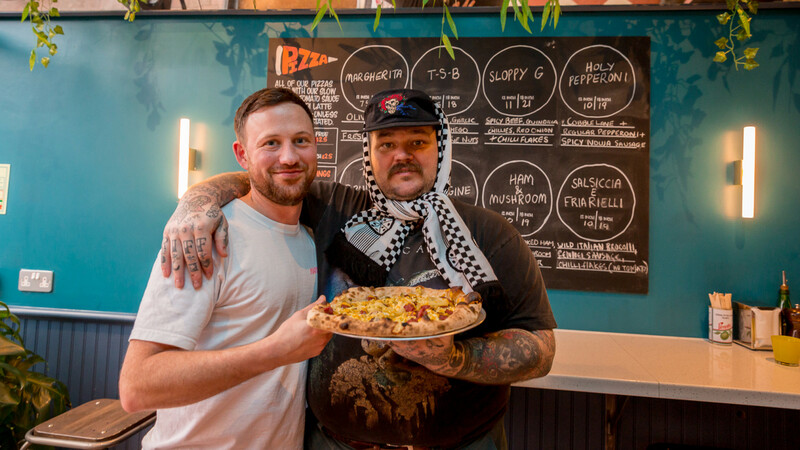 Swing by any of Yard Sale Pizzas from April 16-30 to get your mouth around a limited edition pizza known as The Brick Lane Bad Boy. 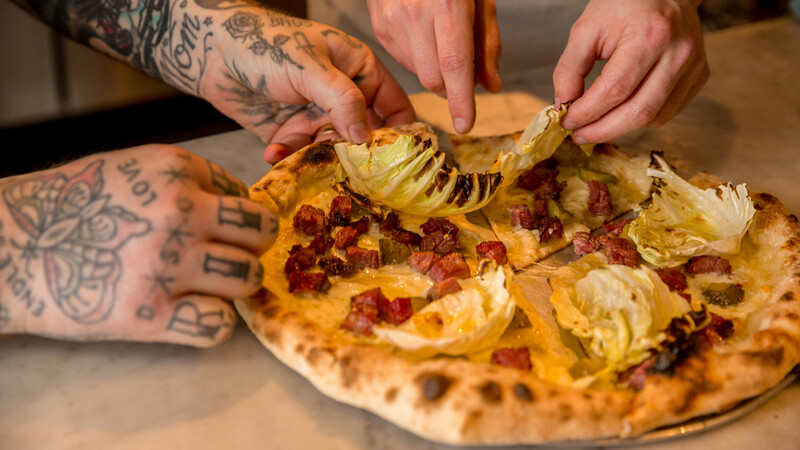 Swing by any of Yard Sale Pizzas from April 16-30 to get your mouth around a limited edition pizza known as The Brick Lane Bad Boy. 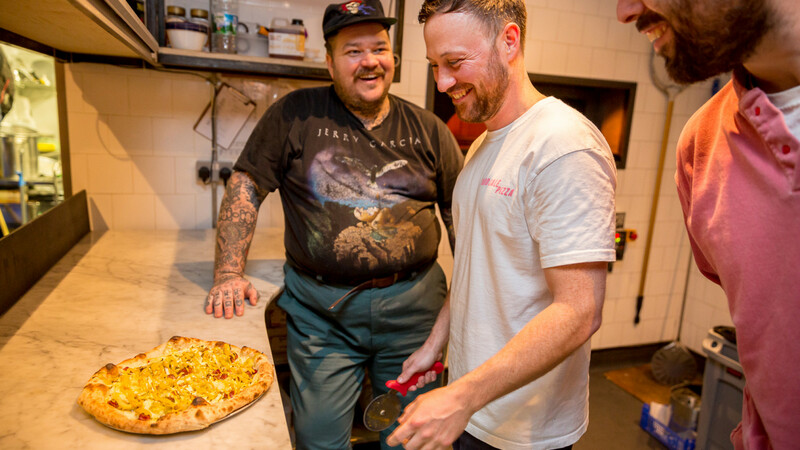 Created by none other than tattooed megachef Matty Matheson (yes, megachef is the preferred technical term), the pizza is inspired by Matheson's love for Brick Lane's iconic salt beef bagels. 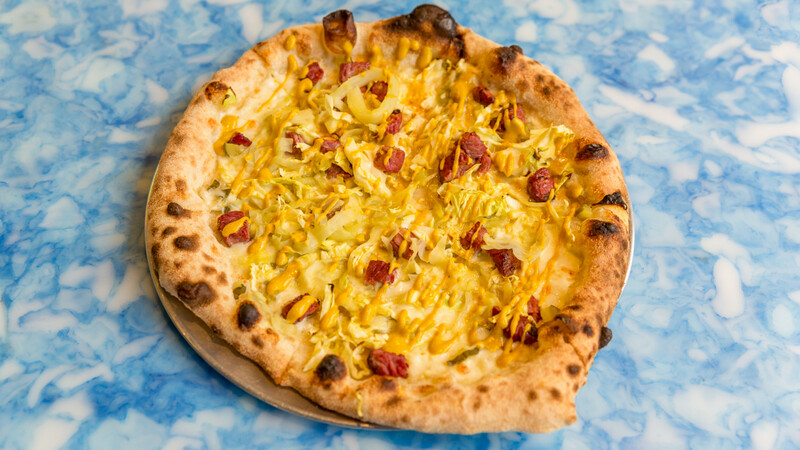 A collaboration with Yard Sale's own Nick Buckland, the pizza features pastrami smoked by Cobble Lane along with a plethora of mozzarella, pickled cabbage, honey mustard dressing, dill pickles, and lashings of hot mustard. Yard Sale's signature double-fermented bases make the ideal canvas for the construction and – available in 12" or a super sized 18" for sharing – are more than worth trekking to get. That being said, takeout is also available. 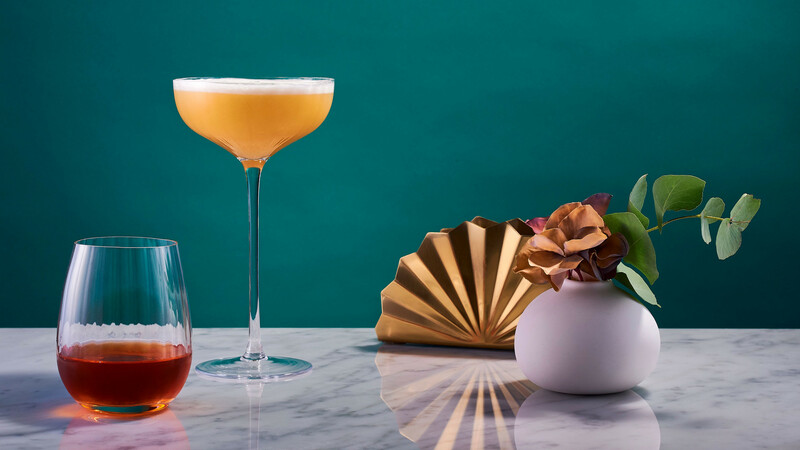 Cognac Cocktail Weekend is one of DrinkUp.London’s new Mini Festivals taking place over five days. 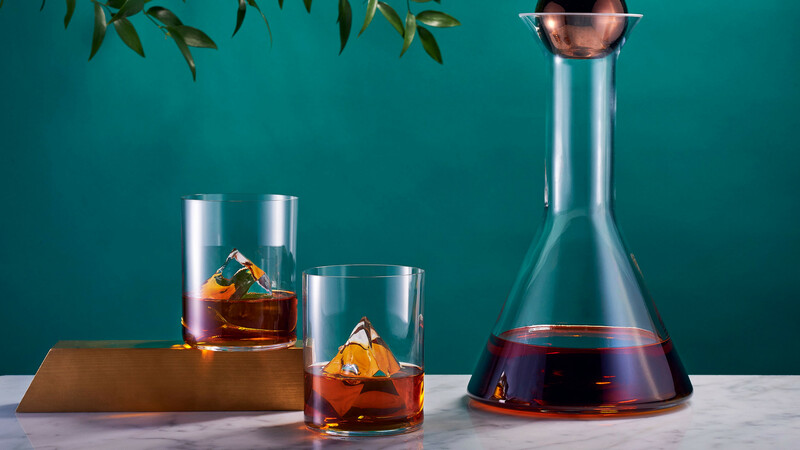 Cognac Cocktail Weekend is one of DrinkUp.London's new Mini Festivals taking place over five days. 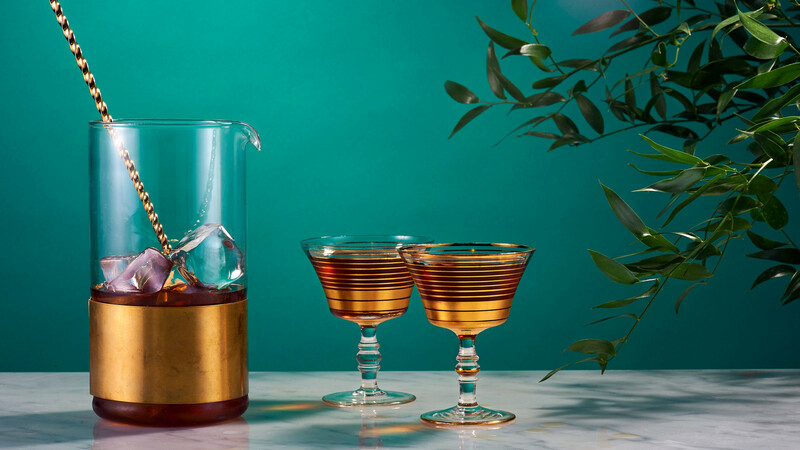 The Mini Festival will get visitors trying special cognac cocktails in the best bars around London, as well as providing guests with everything that they need to know about this delicious spirit category. Cocktails will cost £6 in 25 participating bars including Behind This Wall, Devil's Darling, and Coupette. All you have to do is grab your free digital pass to get first look access to other DrinkUp-related pop-ups and parties. 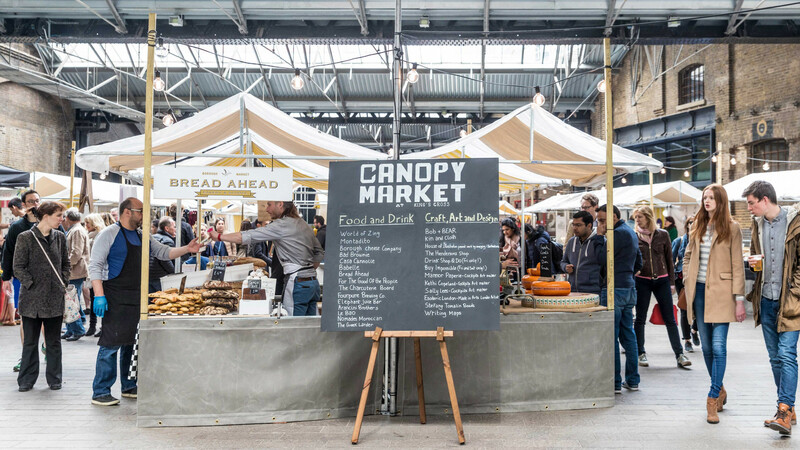 Canopy Market, the independent market in the heart of King's Cross, will be putting on a special Easter market from 19-21 April. 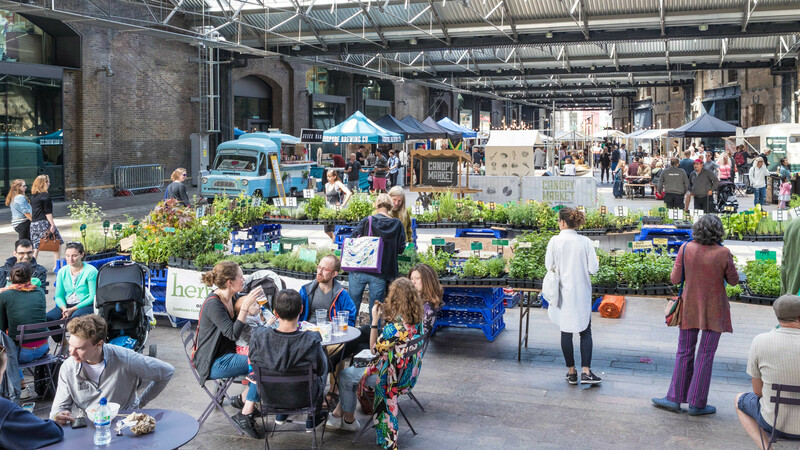 Canopy Market, the independent market in the heart of King's Cross, will be putting on a special Easter market from 19-21 April. A great selection of activities will be running across the three days. Including: a live farm, a sheep show, face painting, an art and design-focused Easter egg hunt, a circus street performance and an art and design workshop. Which is all well and good, but you want to know about the food, right? Well, fret not. Street-food stalls will be on hand to fill you with homemade pasta from Love Farina and grilled cheese toasties from the Big Melt. As well as, of course, plenty of hot cross buns and chocolate. Lots. Of. Chocolate. 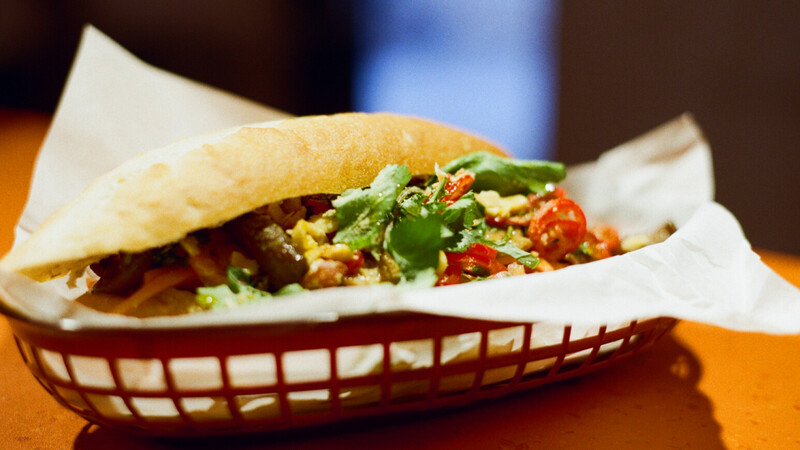 Bodega Rita's have launched a series of guest sandwich 'Meal Deals' featuring creations from some of London’s brightest restaurant stars. 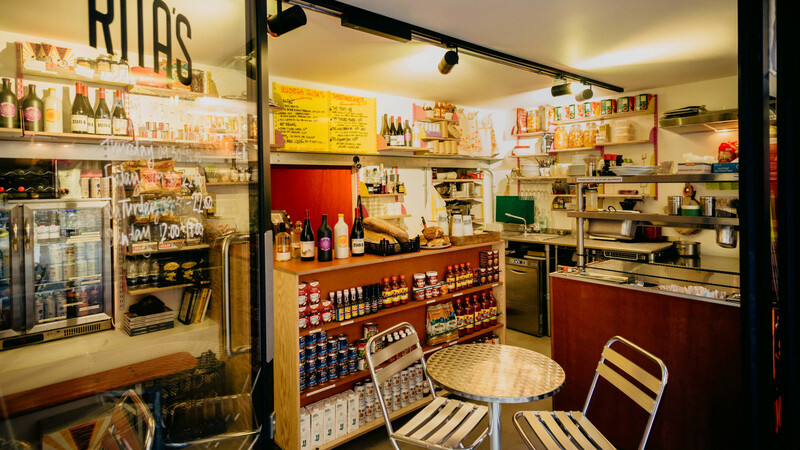 Bodega Rita's, Coal Drops Yard's resident deli and sandwich store is launching a series of guest sandwich 'Meal Deals' featuring some of London's brightest restaurant stars. 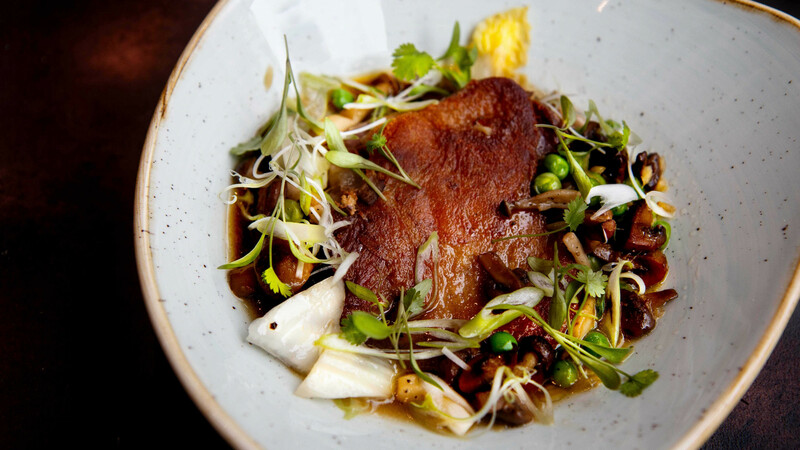 The bodega will welcome a selection of London's most exciting culinary talent over the upcoming months – including Brat's Tomos Parry and Anais van Manen from Taiwanese favourite, BAO. 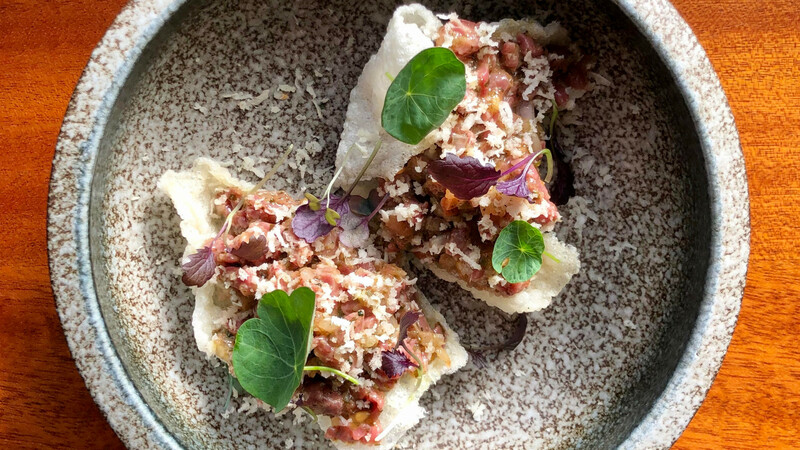 Chris Leach (of Sager + Wilde and Petersham Nurseries) will kick off the series on Friday 19 April with a Fried Ciccioli and Smoked Apple Ketchup Sandwich. The limited-edition sandwich will be available at the bodega from midday on Friday and can be purchased individually or as part of a Meal Deal combo. Starting from £15, each sandwich can be matched with a selection of drinks and snack combos from the bodega. 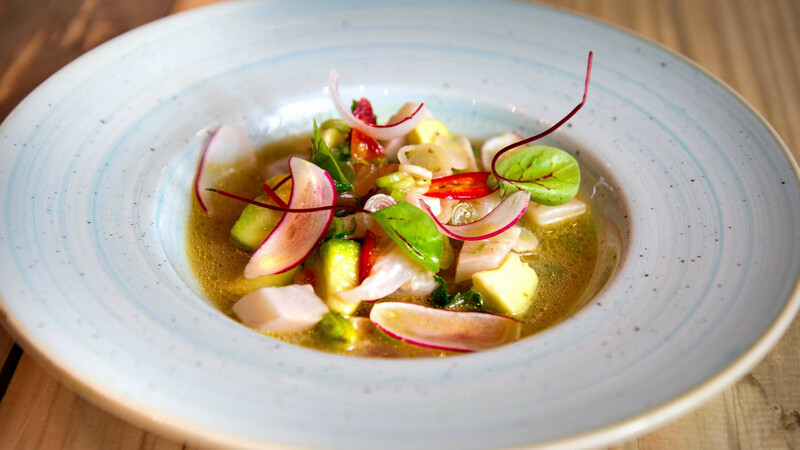 On Friday 26 May, Bodega Rita's will welcome Nud Dudhia, Head Chef and co-founder of the Clerkenwell and Soho taquerias, Breddos Tacos. Edgar Wallace, ex Koya chef, will launch his own sandwich on Friday 3 May. The series will be ongoing throughout the summer, so keep your eyes peeled for updates. 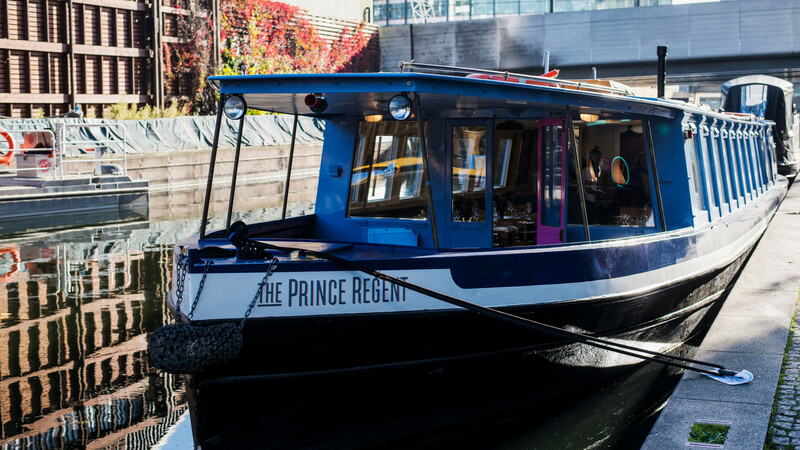 During Easter weekend, the London Shell Co crew are holding a lovely little canal inspired Easter hunt around the Paddington Central & Maida Vale area. Over Easter weekend, the London Shell Co crew will be holding a lovely little canal-inspired Easter hunt around the Paddington Central & Maida Vale area. Each day they'll hide message in a bottle that contains a tasty prize of dinner for two and a complimentary wine pairing worth £210. 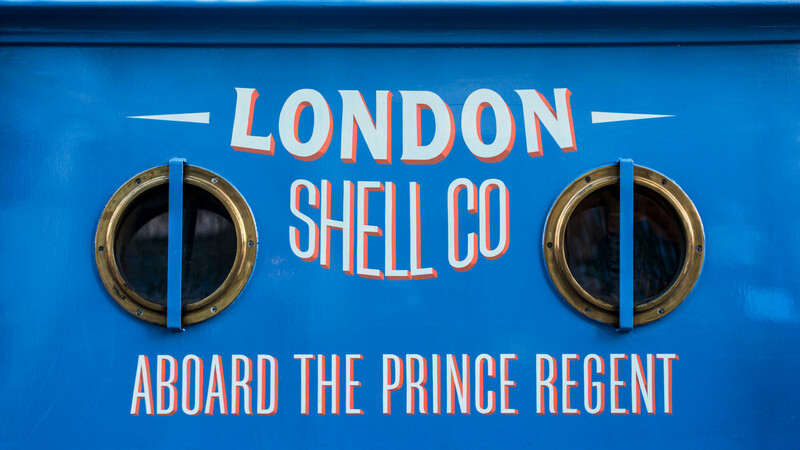 To be in with the best chance of winning, participants are encouraged to follow London Shell Co on Instagram, who will post the first clue on their feed and stories at 11am. 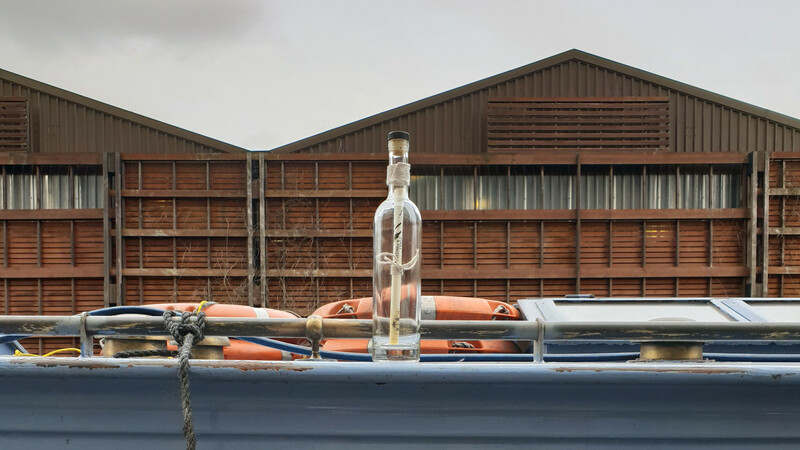 Once found, the winners will need to Instagram message and bring their message in a bottle to the London Shell Co crew, who will be docked at Paddington Basin, to claim their prize. Easter for adults? We're sold. 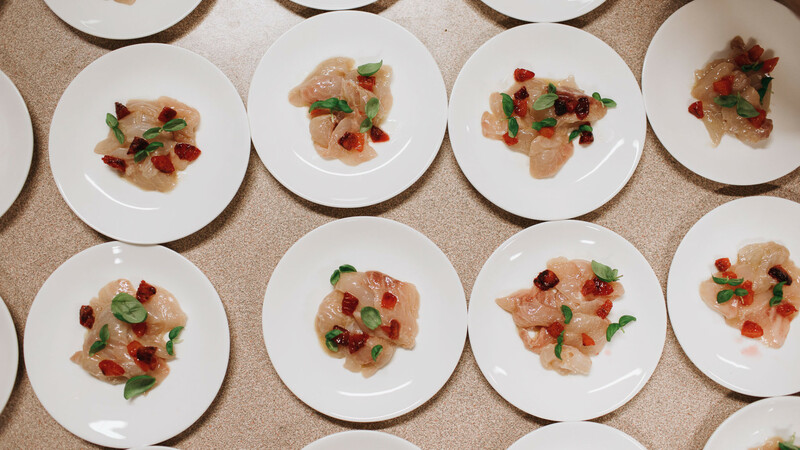 This year's festival will see Marylebone’s finest food and drink establishments team up for a proper food and bev-infused celebration of the area. 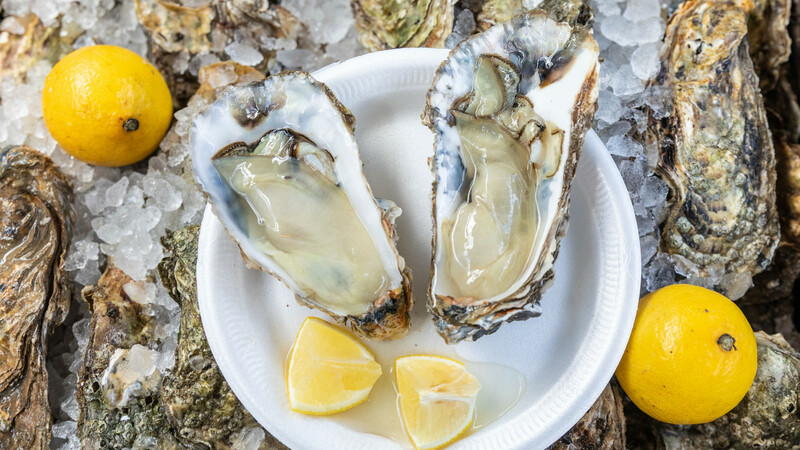 This year's festival will see Marylebone's finest food and drink establishments team up for a proper food and bev-infused celebration of the area. 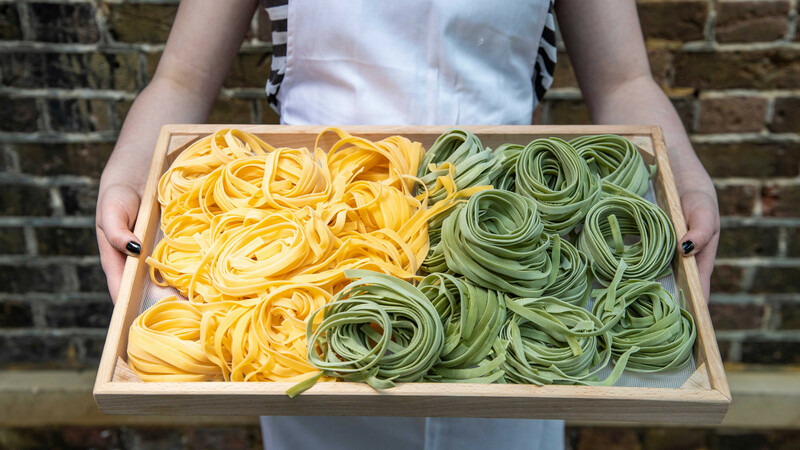 Ranging from neighbourhood cafes and wine bars to Michelin-starred restaurants— each will be putting on special menus and host exclusive masterclasses, one-off collaborations, food tours and talks, to show off Marylebone's gastronomic (and, y'know, actual) wealth. 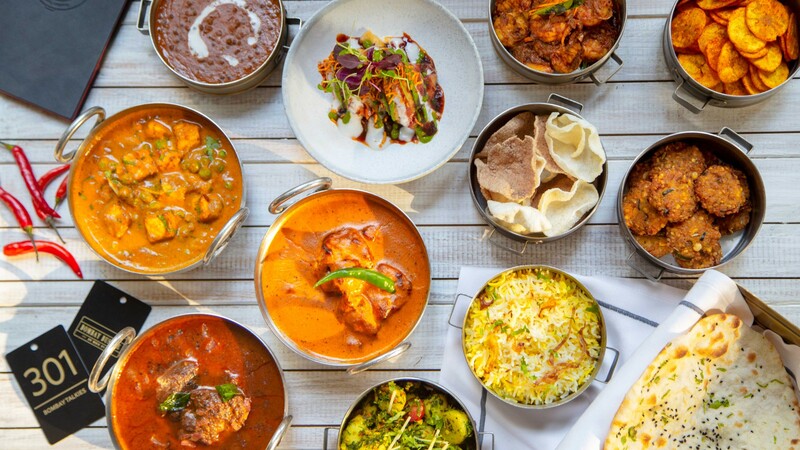 Participating restaurants include Michelin star establishments Roganic and Trishna as well as local favourites Jikoni, The Providores, Chiltern Firehouse, Ooty, Carousel and many, many more. There's a little something for everyone it seems. 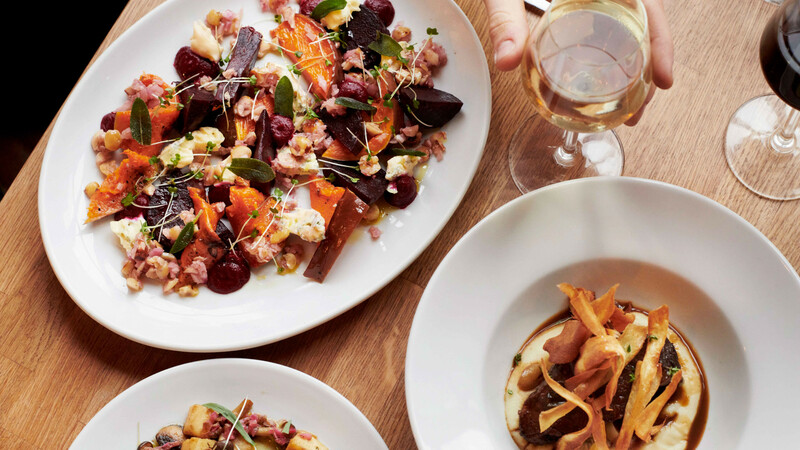 Whether that "something" you're into involves a meat-heavy Barolo and spring lamb evening at Boxcar Butcher & Grill or a meat-free secret vegan supper club at The Gate. 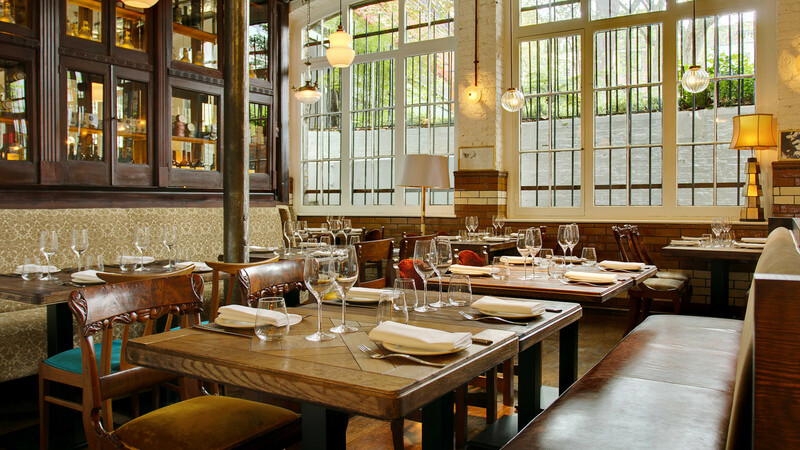 Caravan Fitzrovia will be welcoming chef and writer Sabrina Ghayour for a full restaurant takeover on Monday 29 April. 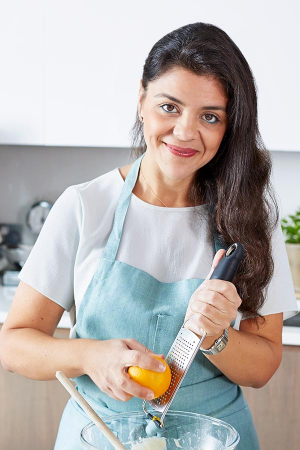 The event will include a special three-course sharing feast that showcases the Middle-Eastern recipes from her soon-to-be published cookbook Bazaar. The first course will comprise of small sharing plates (including chickpea and vegetable kofta wraps as well as orange, olive, pine nut salad with mint and pul biber), followed by a selection of sharing dishes (including assorted freekeh stuffed vegetable dolma and courgette, spinach and preserved lemon salad). Dessert is a choice of either sticky beetroot halva tart or courgette, orange and almond cake. 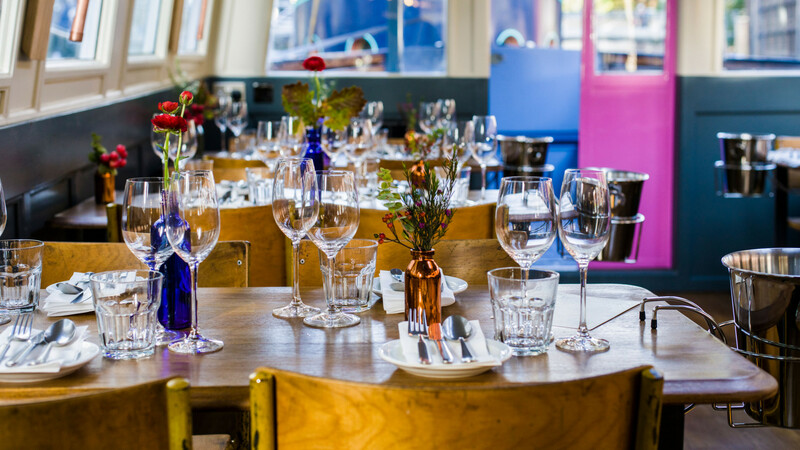 Caravan will also be serving a special Middle-Eastern inspired Barberry Martin throughout the evening alongside a selection of wines and beers. Tickets for the feast cost £60 per person, plus booking fee. Bar Douro’s popular monthly Guest Chef series continue with a showcase of the experimental cooking of Vasco Coelho Santos on Tuesday 30 April. John dory with a açorda. 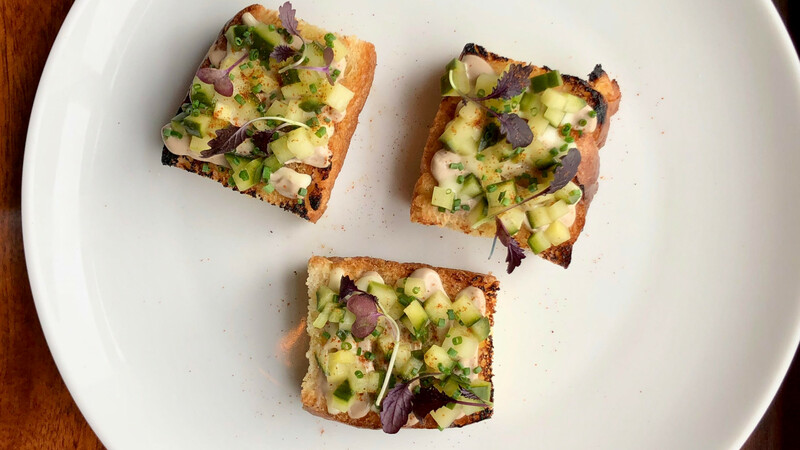 Spring 2019 sees Bar Douro's popular monthly Guest Chef series continue with a showcase of the experimental cooking of Vasco Coelho Santos on Tuesday 30 April. 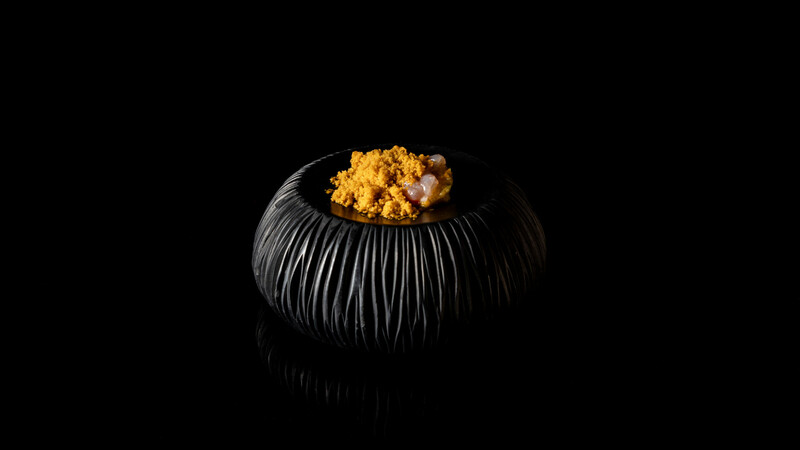 Chef Vasco Coelho Santos – of Euskalduna Studio and Semea by Euskalduna – trained in the Michelin-starred kitchens of Mugaritz (two stars) and Arzak (three stars). 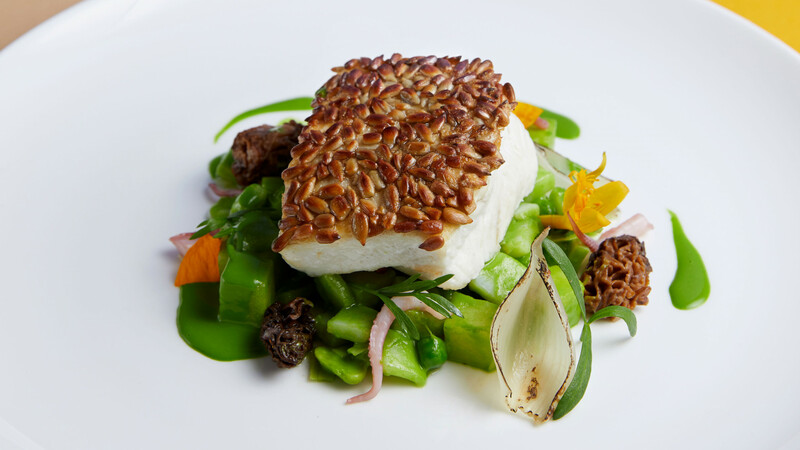 So expect a pretty starry night with dishes such as prawns, mango and curry; john dory with a take on Açorda; before finishing with French toast and serra cheese. 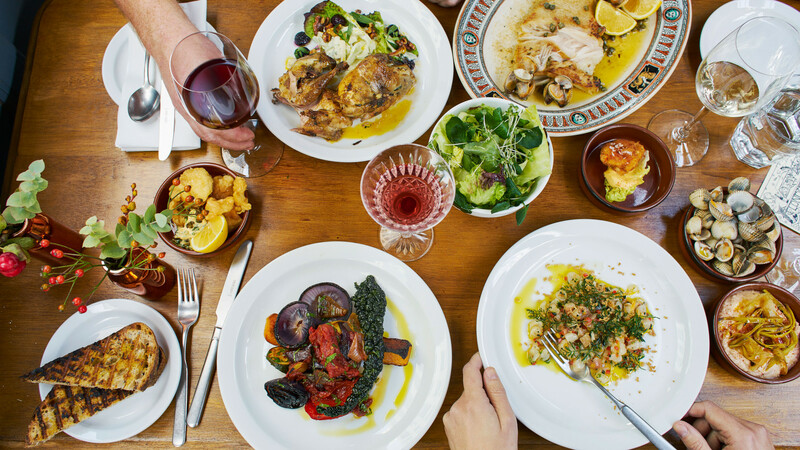 Head on down to the arch to experience a taste of some of the finest modern Portuguese food and wine in central London. 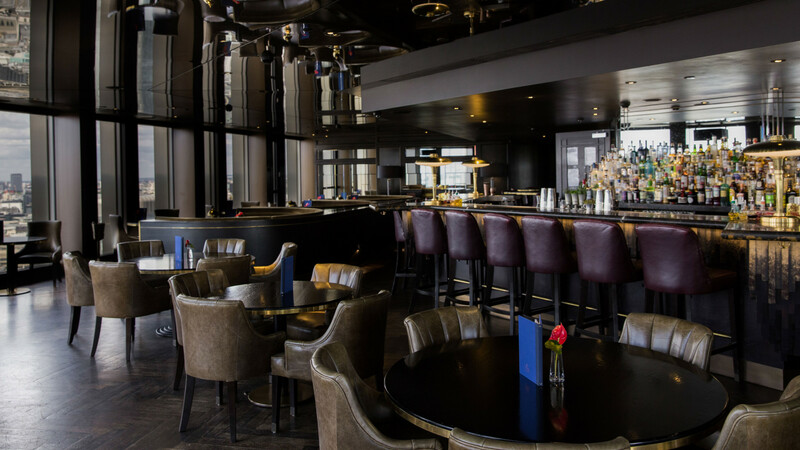 Jason Atherton’s Michelin-starred restaurant City Social will mark its fifth birthday with a one-off dinner on 1 May. Jason Atherton's Michelin-starred restaurant City Social will mark its fifth birthday with a one-off dinner on 1 May. 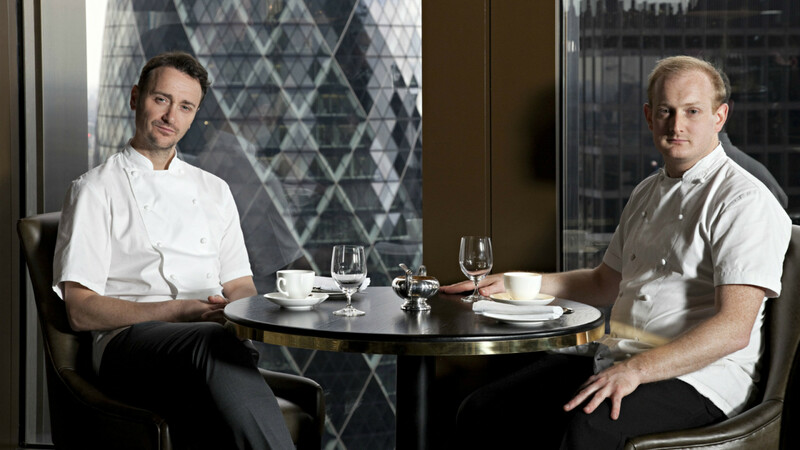 Jason Atherton's Michelin-starred restaurant City Social will mark its fifth birthday with a one-off dinner on 1 May. 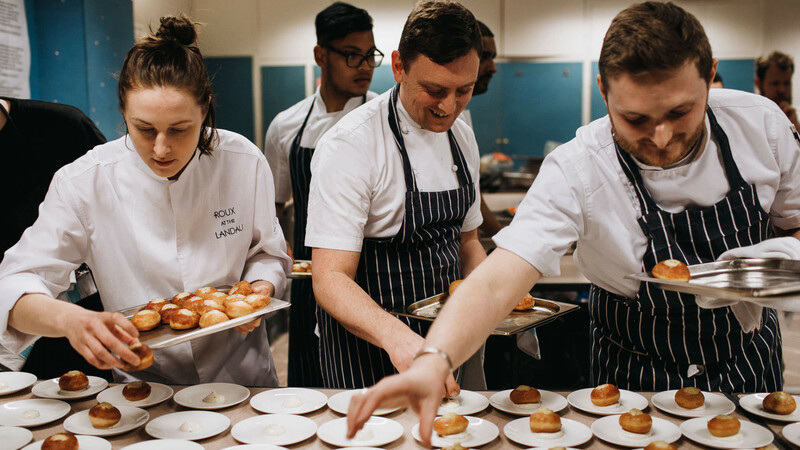 City Social will commemorate the occasion with a six-course menu curated by Jason Atheron and five of the group's chefs. 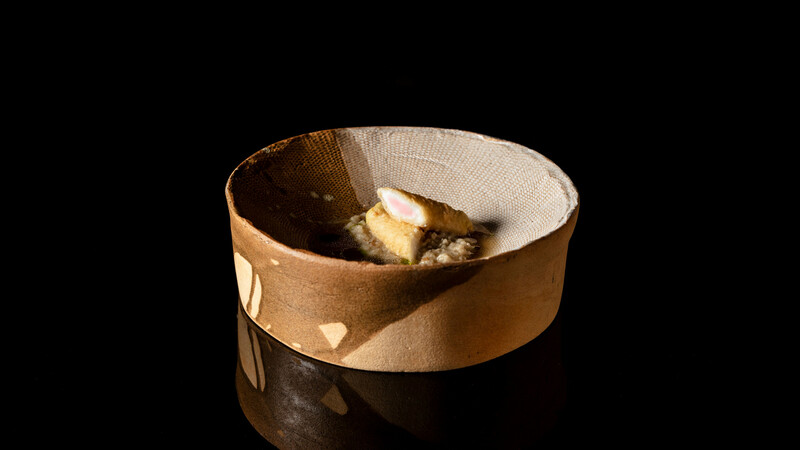 Guests will begin with a marinated tuna open temaki created by Sosharu's former head chef, Alex Craciun followed by a cold starter of raw Orkney scallop, Tokyo turnip, nashi pear, black olive and jalapeño granite by Pollen Street Social's, Dale Bainbridge. 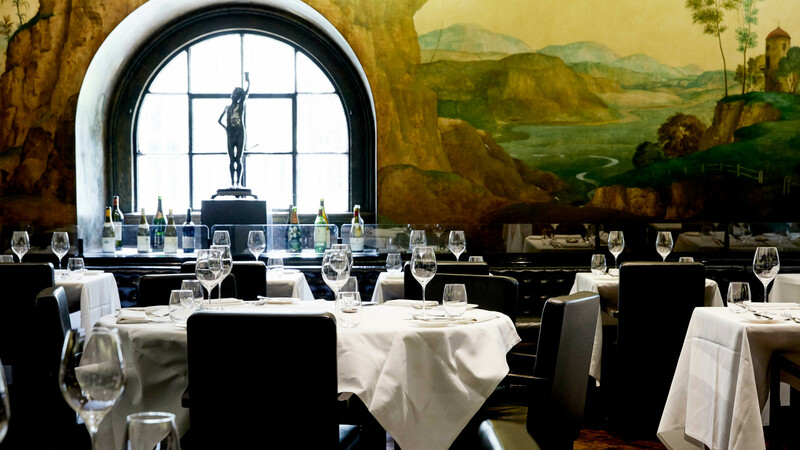 Phil Carmichael of Berners Tavern will be preparing a hot starter of Wye valley asparagus, beer battered cod cheeks, egg yolk jam and brioche followed by a decadent fish course of roasted cornish tubor from Social Eating House's chef patron, Paul Hood. The final two courses will be created by City Social's own Paul Walsh. The all-star evening will start at 7pm and will be priced at £150pp including a glass of champagne on arrival. If you're really up for a celebration you can opt for either the classic wine pairing or the fine wine pairing for £95 and £150 respectively. The final event in the series will see Manuel Maldonado take centre stage. 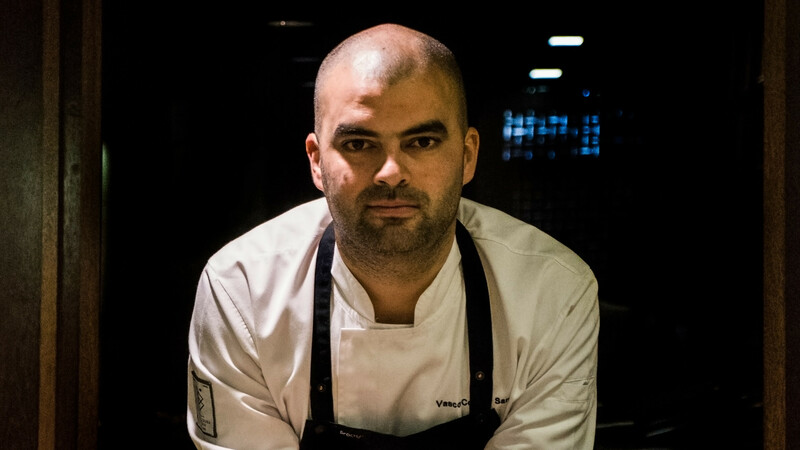 Having worked with Jose Avillez at Belcanto and at Singapore's cult Burnt Ends, Manuel is one of Lisbon's most exciting chefs and currently heads up the kitchen of 100 Maneiras and Bistro 100 Maneiras, which topped Monocle's 2017 list of the world's best restaurants. 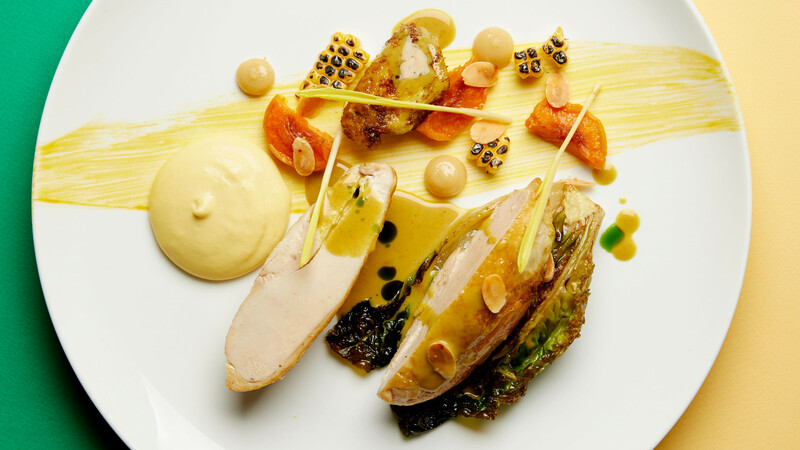 With culinary influences from Bosnia, Portugal, France and Italy, 100 Maneiras is regarded as having one of the best tasting menus in Lisbon, with an immersive dining experience and interior setting to match. Maldonado will prepare a very special five course menu, priced at just £55 per person. 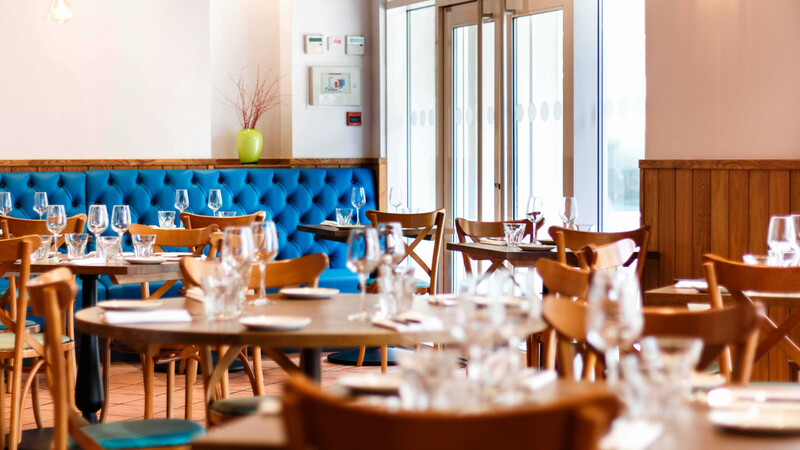 Menus can be accompanied by an optional wine pairing (priced at £30), curated by Bar Douro's founder Max Graham, that features interesting, boutique producers little known or unavailable in this country.